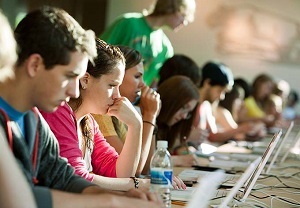 Free financial assistance to post-secondary students. 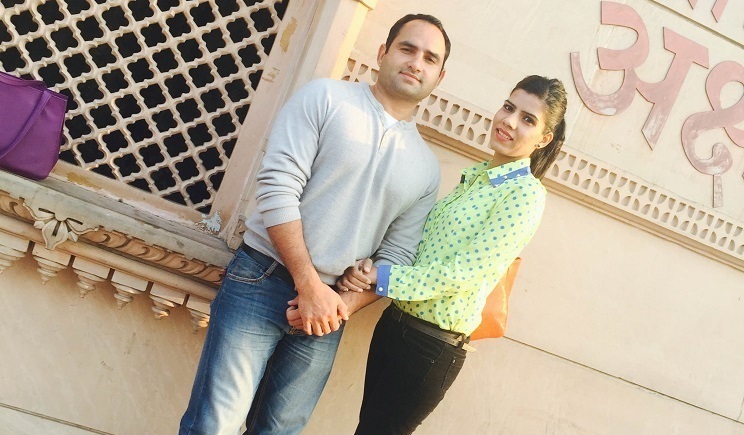 Travel time from India to Ontario – 20 HRS 51 Min. 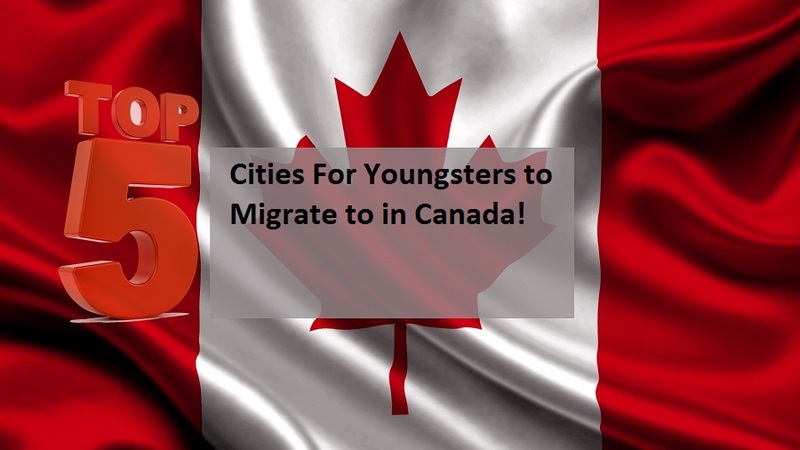 Travel time from Nigeria to Ontario – 20 HRS 31 Min. 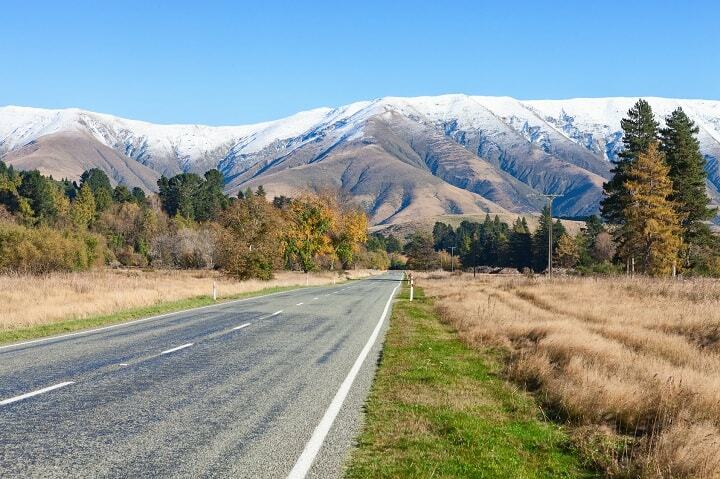 Travel time from China to Ontario – 13 HRS. 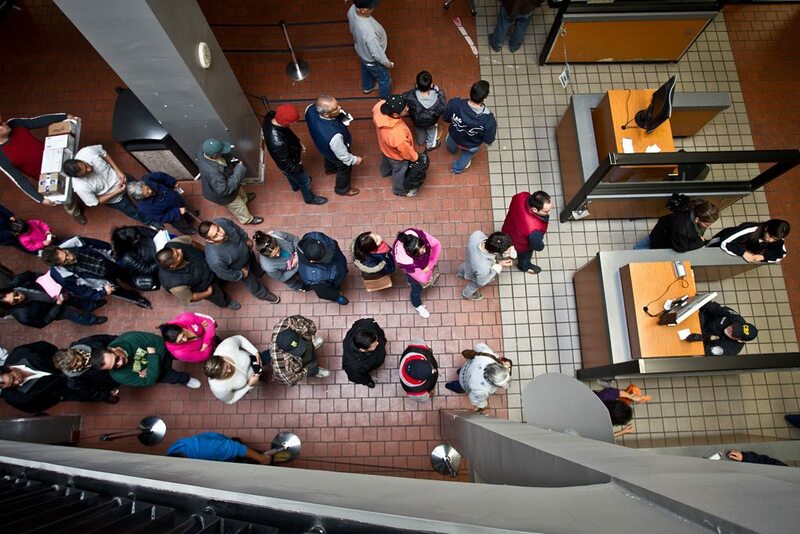 Travel time from USA to Ontario – 2 HRS 47Min. 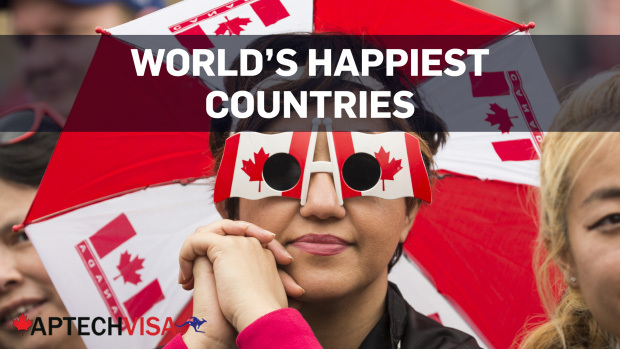 Ontario is the Canada’s most popular immigration destination for immigrants across the globe! 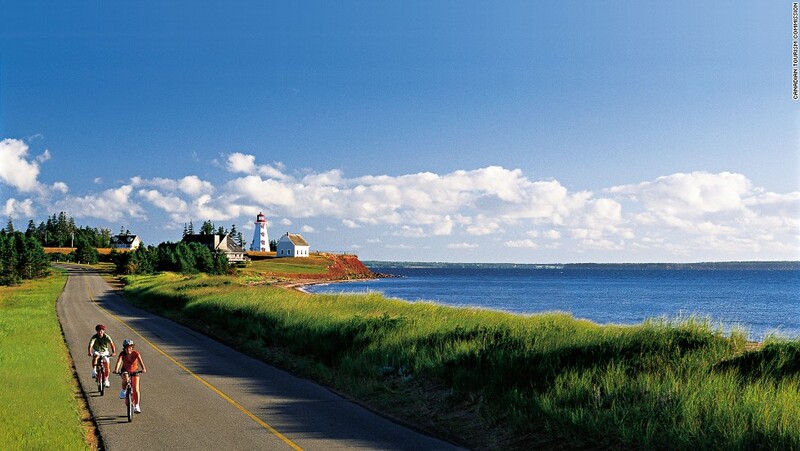 It is the most populous province with 40 percent of Canadians calling Ontario their home. 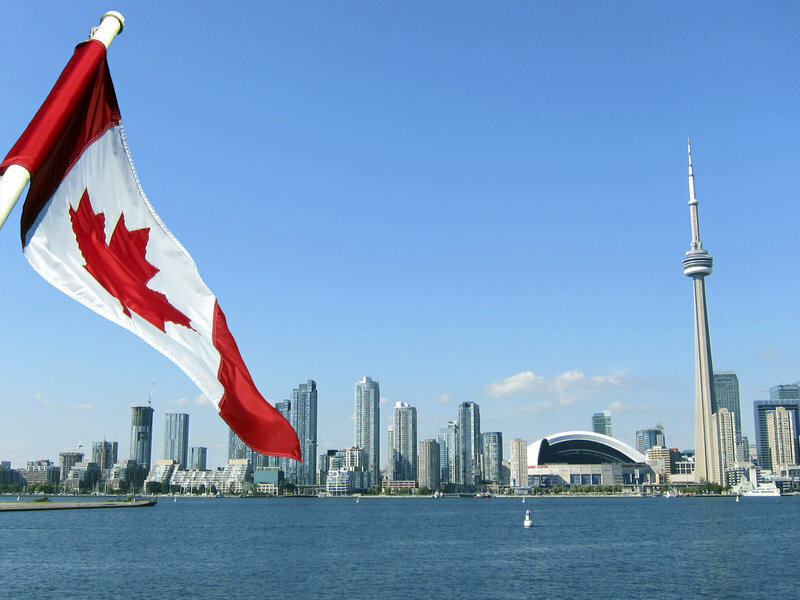 The province is the home to the largest city of Canada, Toronto and in many ways Ontario is the centre of Canada’s economic social and political life. 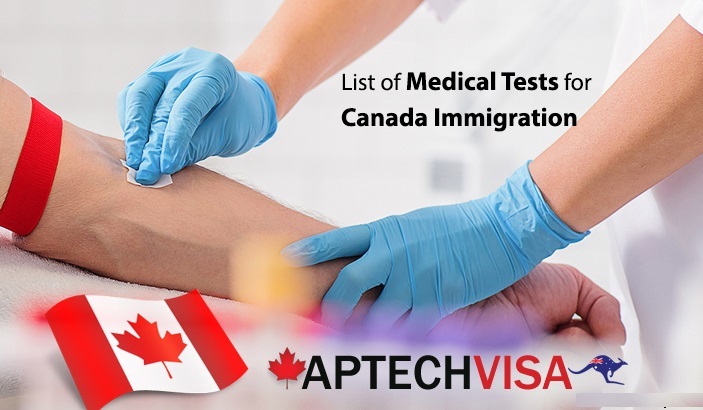 The Ontario Immigrant Nominee Program (OINP) is an economic immigration program specifically designed to meet the labour market and economic development of Ontario. 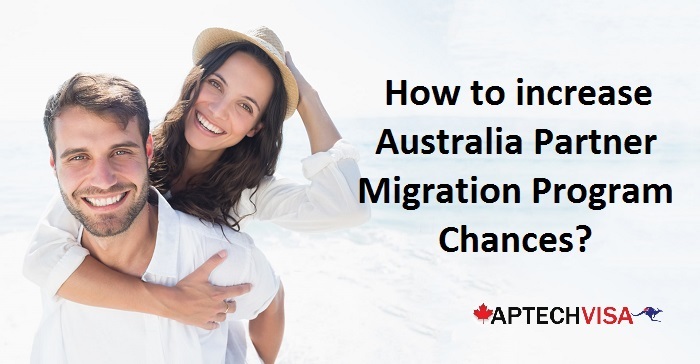 The program allows the province of Ontario to nominate skilled migrants for permanent residence who can contribute towards the growing economy of Ontario. 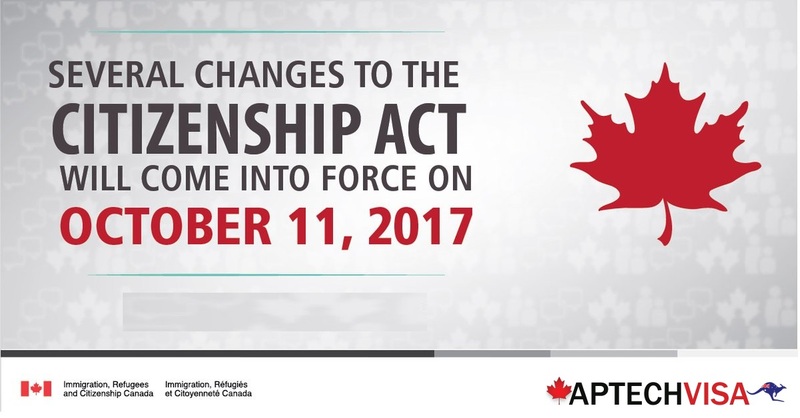 The OINP in partnership with the federal government is processed through Immigration, Refugees and Citizenship Canada (IRCC). 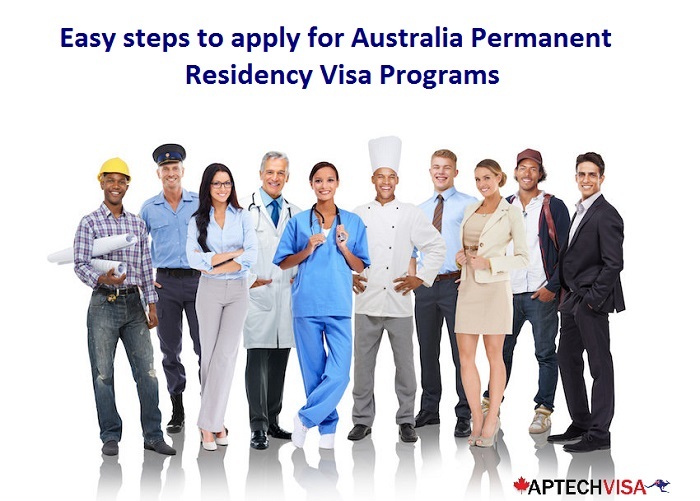 The OINP assesses applications and nominates candidates for permanent residence. 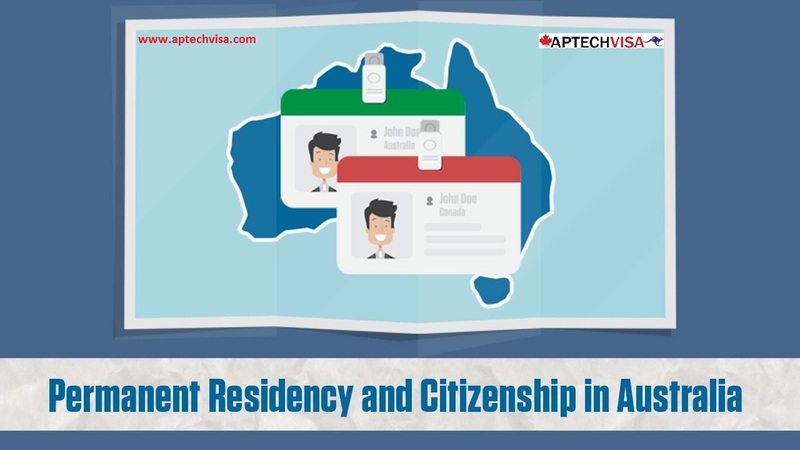 The applicants who have been nominated by the OINP can then apply for permanent residence through IRCC. 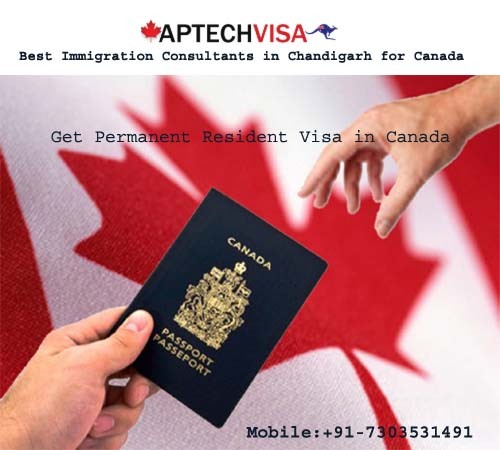 The program is an excellent pathway of migrating to Canada on permanent basis. 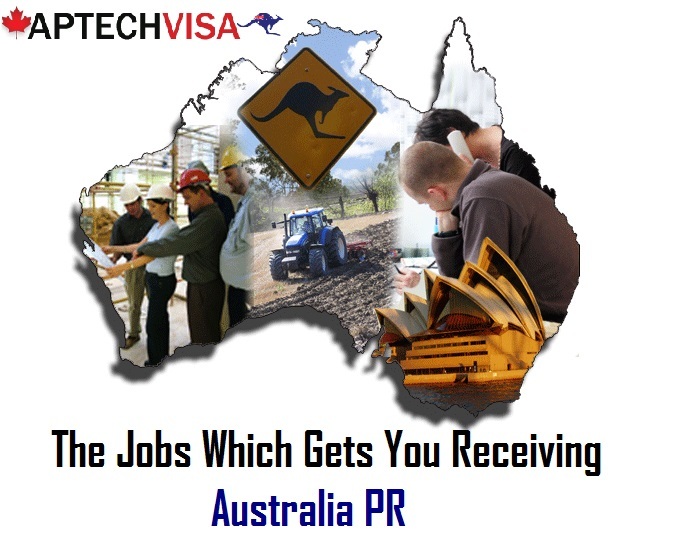 It aims at selecting applicants who are skilled and experienced in an occupation that is in-demand in the province. 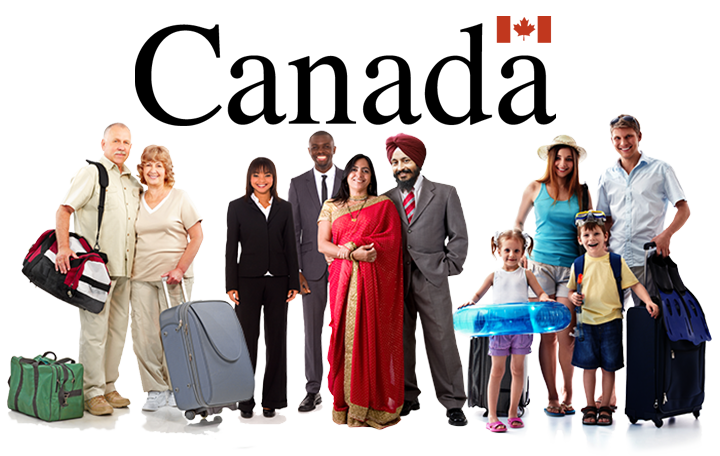 The province of Ontario targets skilled and experienced immigrants under different programs and categories. 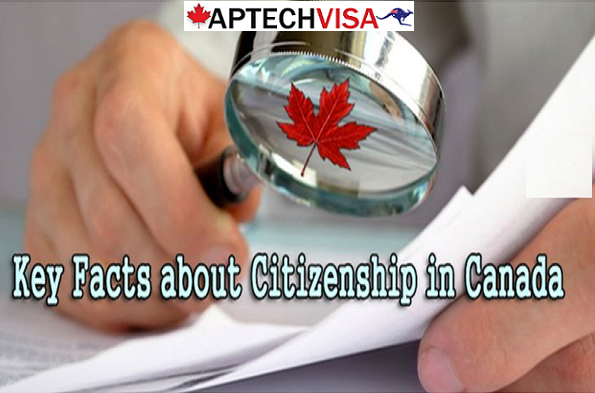 The selected applicants will get a nomination certificate from Ontario to apply for Canadian Permanent Residency. 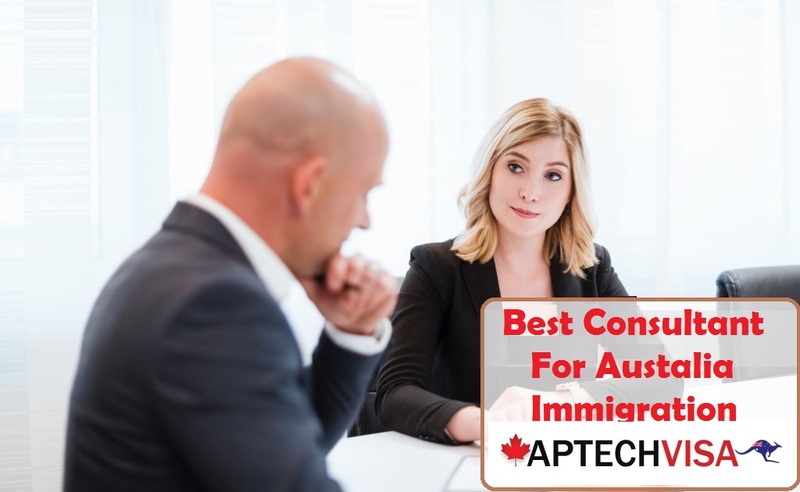 The Human Capital Category stream is the most popular immigration program available for the overseas skilled migrants in the Ontario Immigrant Nominee Program. 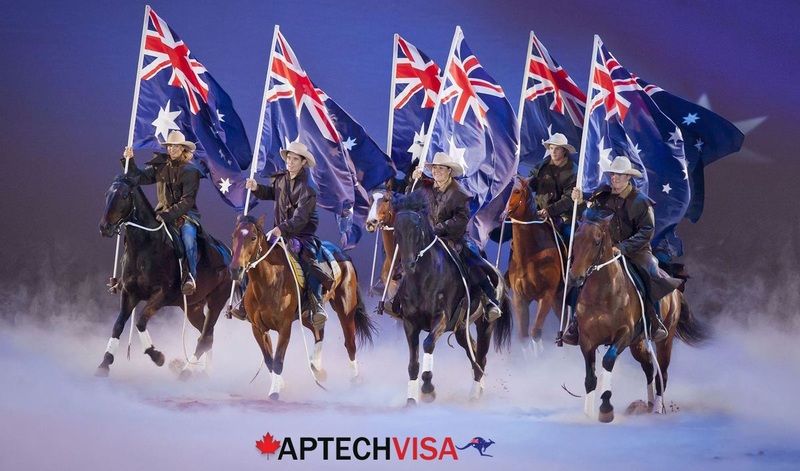 The immigration department of Ontario selects the applicants from the Express Entry pool who have the necessary skilled work experience, language ability, and other requirements. 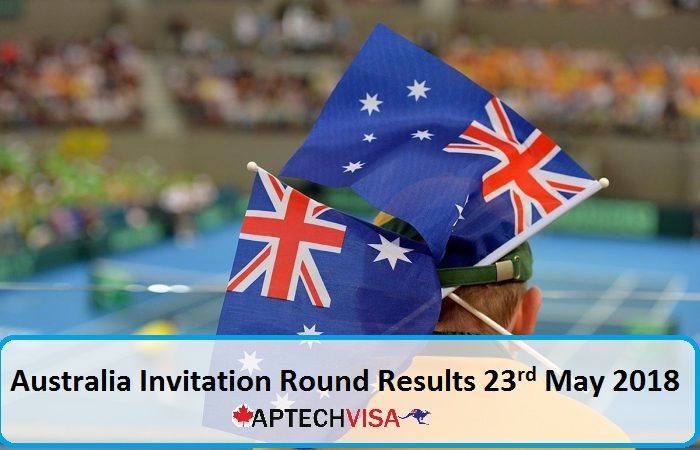 The Ontario PNP will search through Express Entry profiles that have indicated their interest for Ontario and the highest ranking Comprehensive Ranking System (CRS) score applicant will be invited to apply. 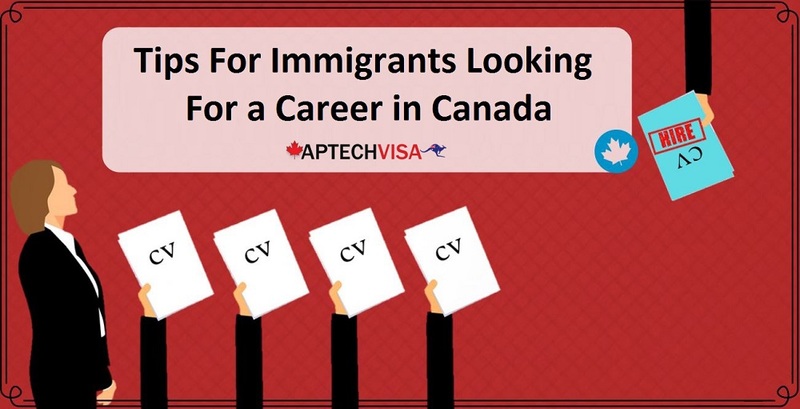 Ontario’s Immigrant Nominee Program helps employers meet their human resource needs through this category by recruiting skilled and qualified workers and international students on permanent basis. 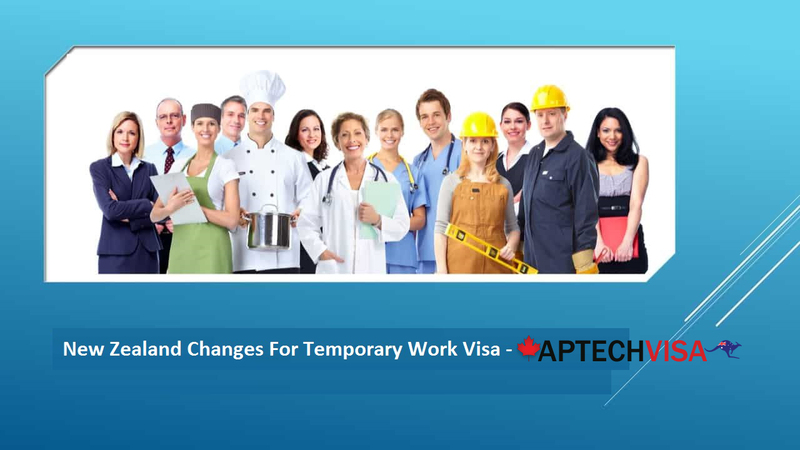 Ontario Human Capital Priorities Stream is designed for foreign skilled workers who want to live and work permanently in Ontario. 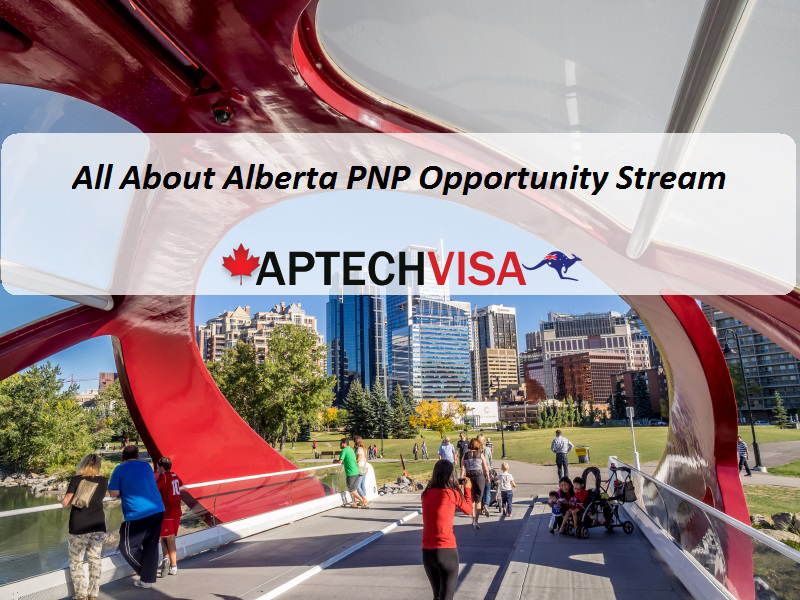 The applicants who have their profile in the Express Entry Pool and have the required education, skilled work experience, language ability and other factors to successfully establish and integrate into Ontario labour market and communities apply for OINP- Human Capital Priorities Stream. 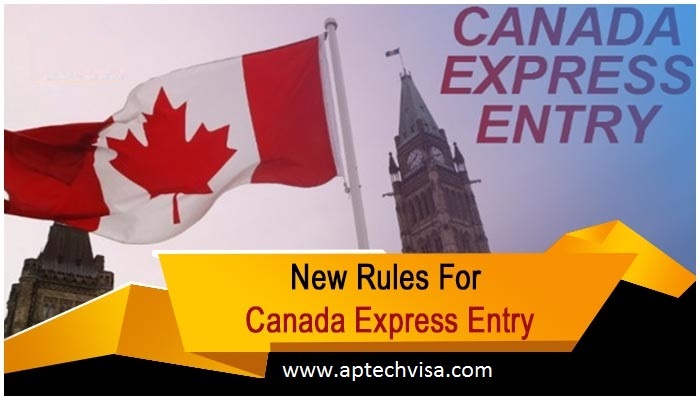 The applicants under HCP are processed exactly like Express Entry program. 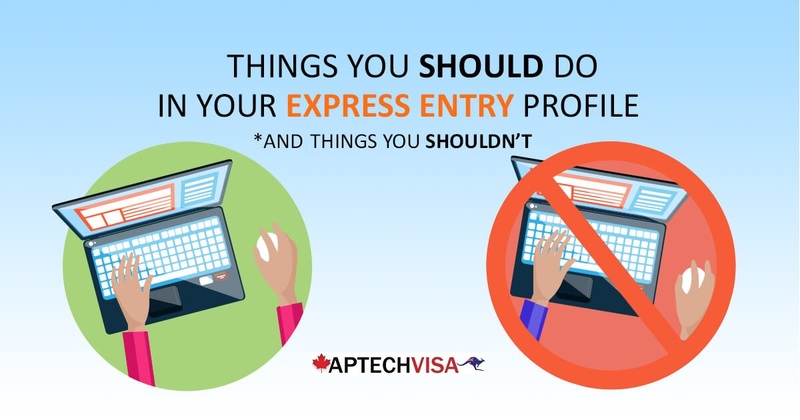 The candidates whose profiles are in the express entry profile are considered under Human Capital Stream. 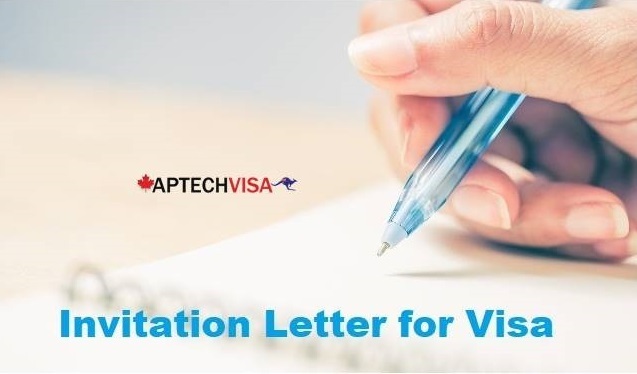 Earlier, the applicants who scored Comprehensive Ranking System (CRS) score of 400 and above were invited to apply by the Ontario Government as CRS 400 is the basic requirement to apply for Ontario Immigrant Nominee Program (OINP). 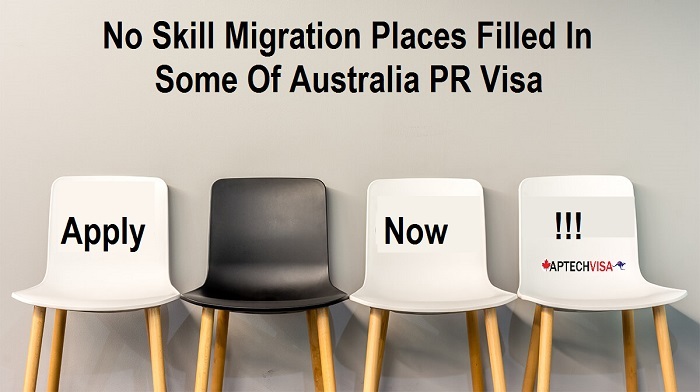 The CRS score are calculated for age, educational qualification, work experience, language ability and adaptability factors. 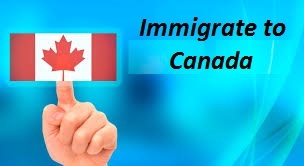 However, the recent Ontario Immigrant Nomination draws invited applicants as per the ‘Directors Requirement’. 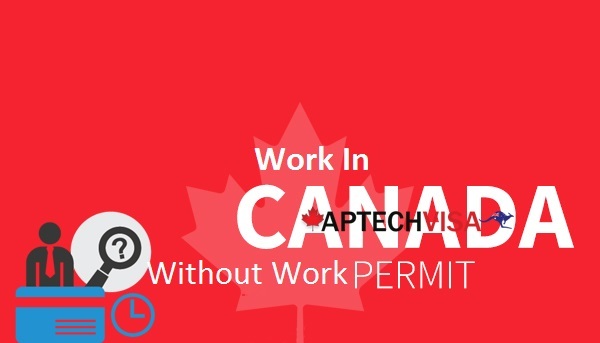 Ontario Express Entry- French Speaking Skilled Worker Stream is for French Speaking Skilled Workers who have strong English Language abilities and want to live and work permanently in Ontario. 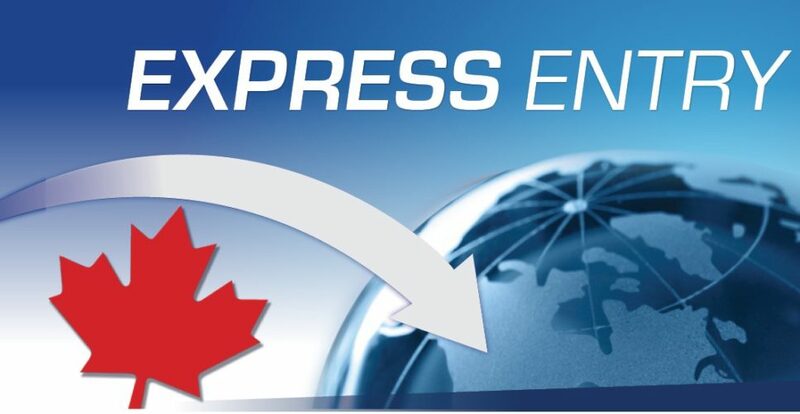 If you are able to furnish your French language Proficiency, then check your eligibility requirements for Ontario Express Entry- French Speaking Skilled Worker Stream. 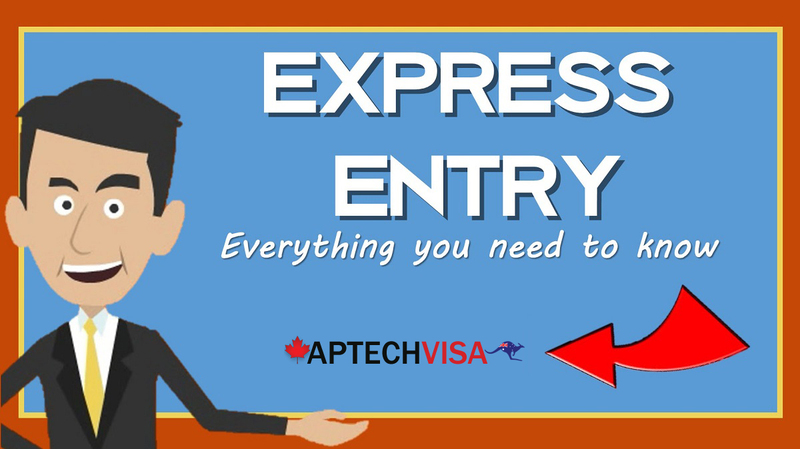 Ontario Express Entry Skilled Trade Stream is designed for Skilled Workers with work experience in an eligible skilled trade listed in Canada who wants to live and work permanently in Ontario. 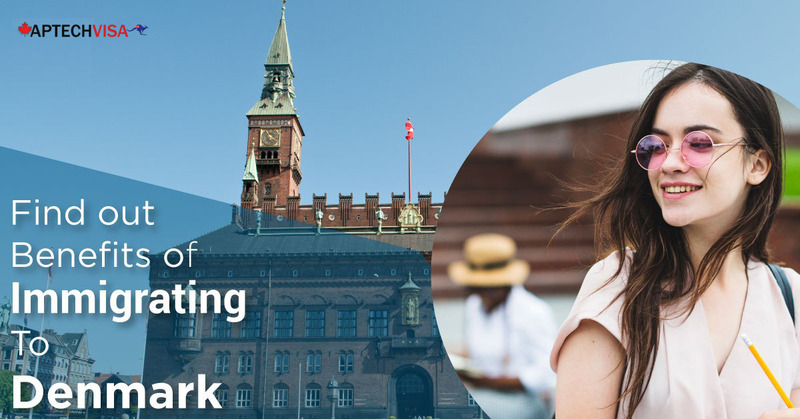 The Master’s Graduate Stream under OINP offers an opportunity for international students with a Master’s degree to apply for OINP and live and work permanently in Ontario. 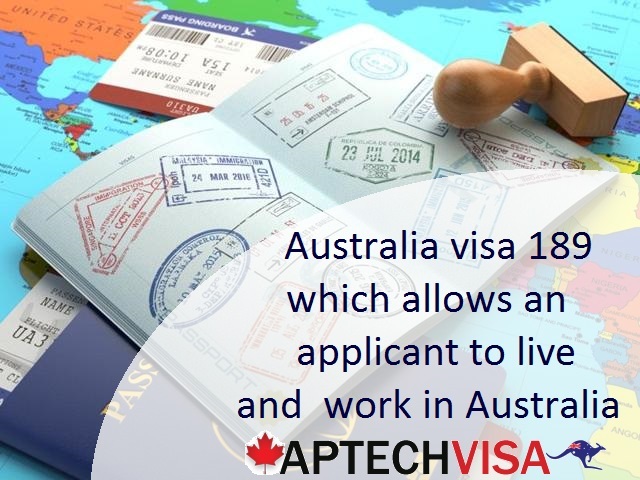 The eligible applicants applying under this stream can apply without a job offer letter as well. 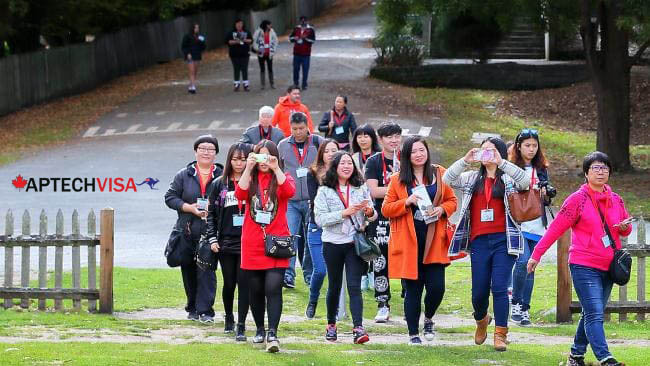 The PhD Graduate Stream under OINP offers an opportunity to international students with a PhD Degree obtained in Canada to live and work permanently in Ontario. 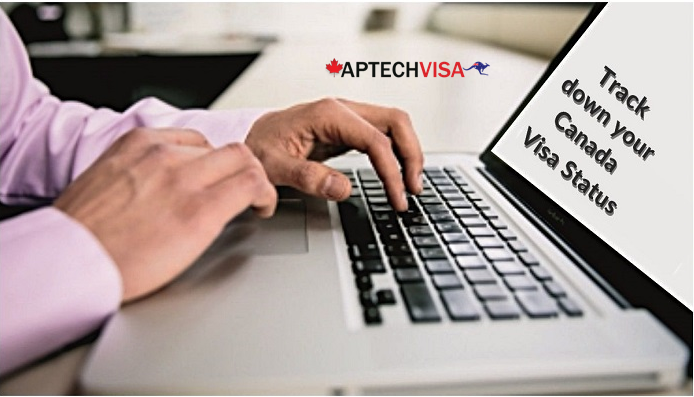 Employer Job Offer Foreign Worker Stream is processed under OINP that gives an opportunity to skilled workers with a job offer to permanently live and work in Ontario. 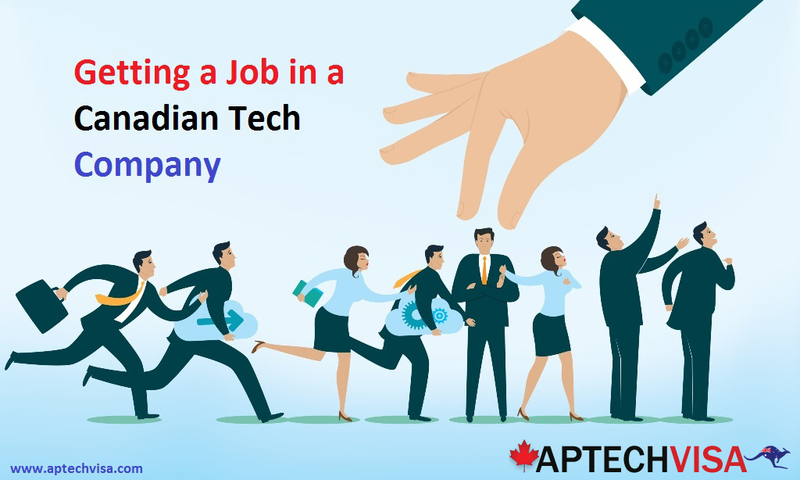 Those applicants who have a full-time job offer letter from an Ontario employer can apply for this stream. 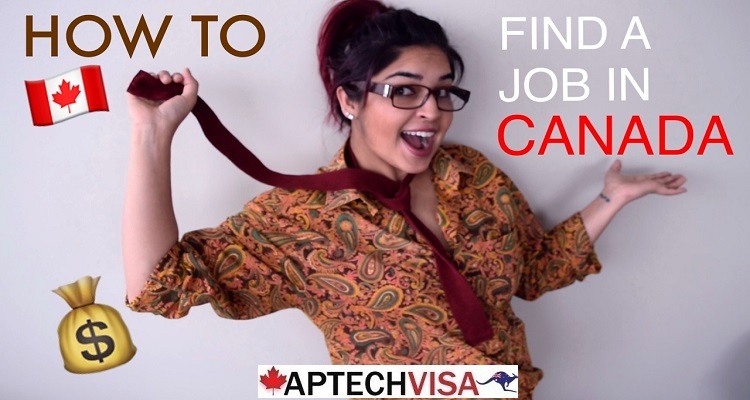 Employer Job Offer- International Student Stream gives an opportunity to international students who have a job offer letter to permanently live and work in Ontario. 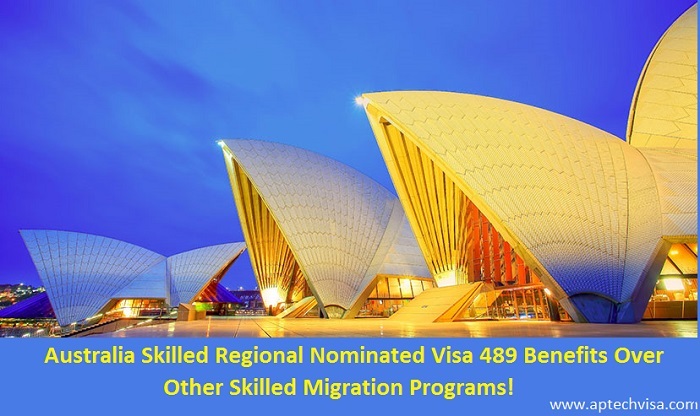 The Employer Job Offer- In demand Skill Stream offers an opportunity for in-demand foreign workers with a job in specific occupations in the agricultural and construction sectors to come and work permanently in Ontario. 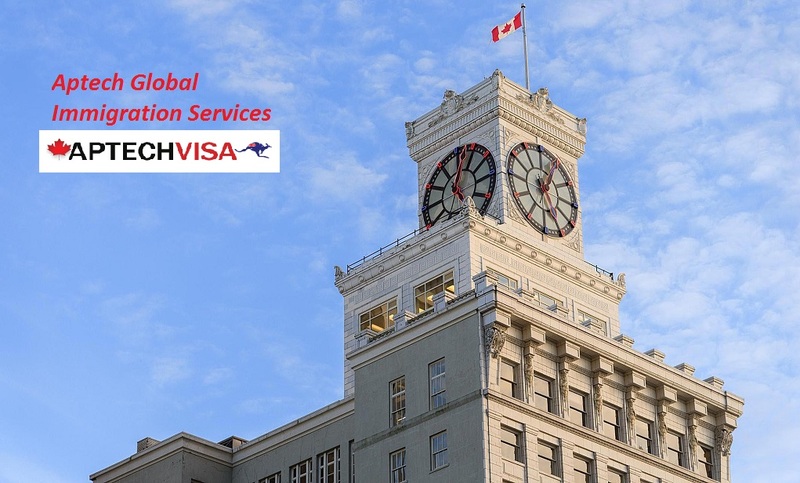 The Ontario Immigrant Nominee Program’s Corporate Stream helps and supports established international corporations looking to expand into Ontario or buy an existing business. 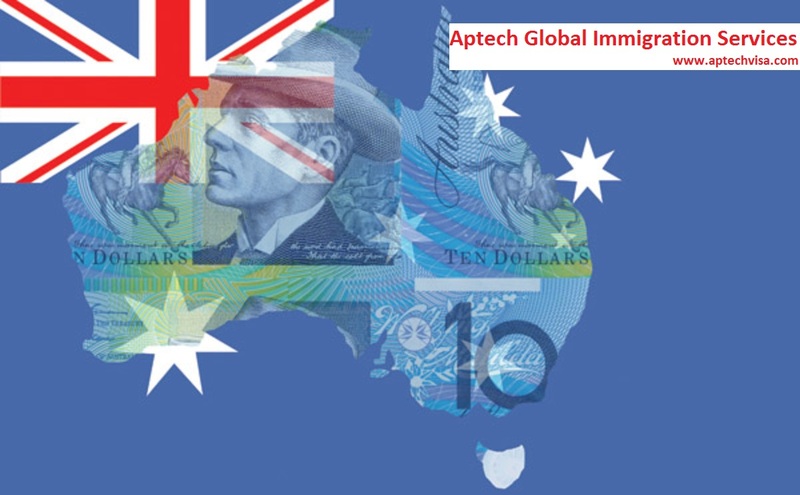 After settling the business and meeting the obligations of a performance agreement, you are eligible for permanent resident status. 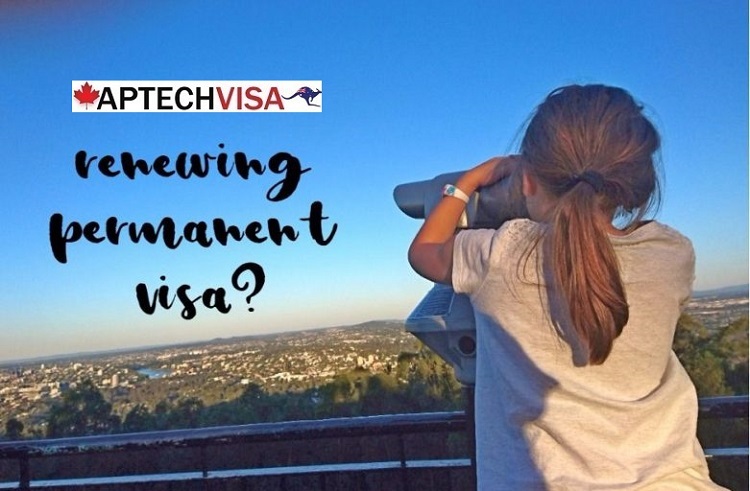 The Ontario Immigrant Nominee Program Entrepreneur Stream helps applicants from overseas to implement new business idea or buy an existing business in Ontario. 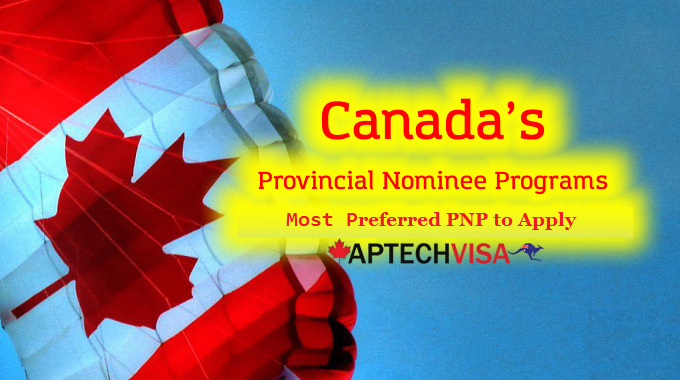 How to Apply For Ontario PNP Nomination? 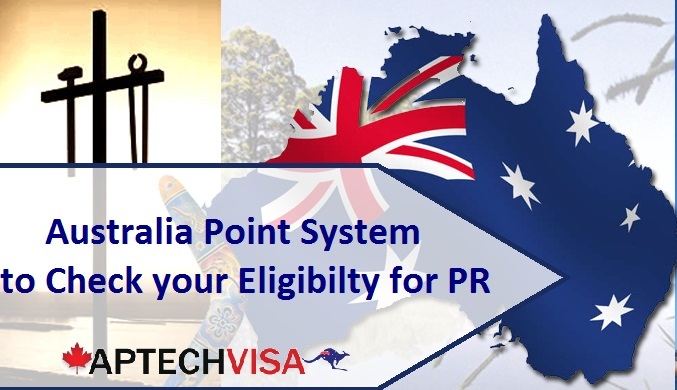 Your Ontario PNP nomination and application for the PR visa are two separate processes. 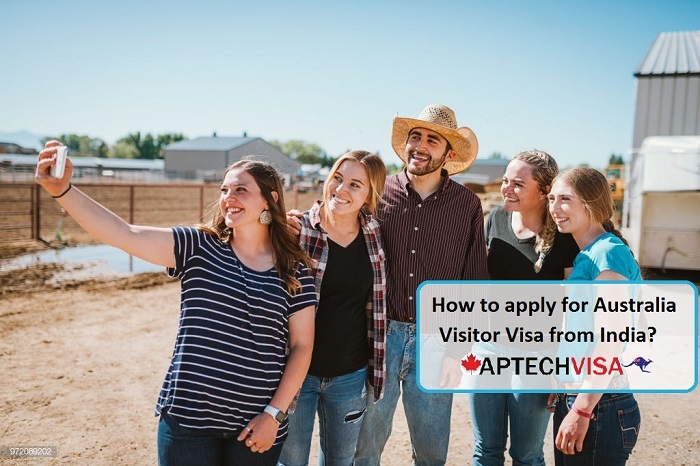 The Ontario Government assesses your state nomination and the Immigration Department of Canada assesses your visa application. 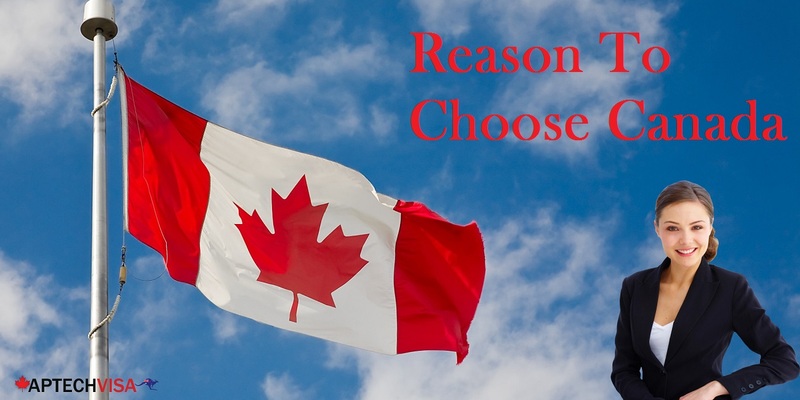 Although the Provincial process of Ontario Nomination Program is simple but complicated. 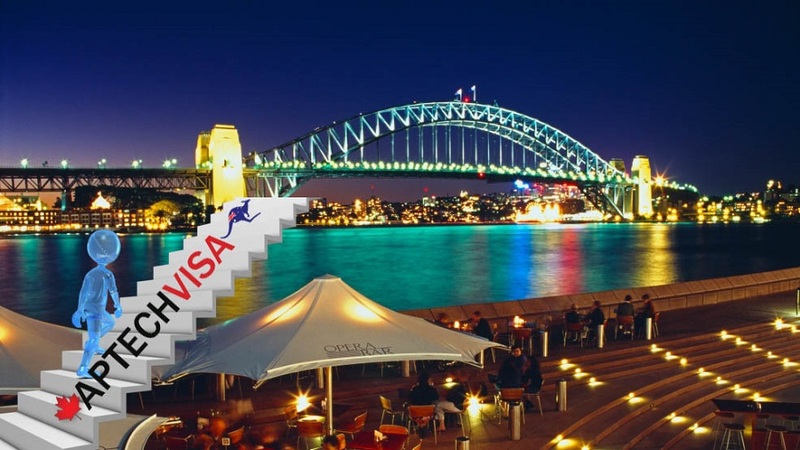 A single mistake can lead to visa rejection or cancellation. 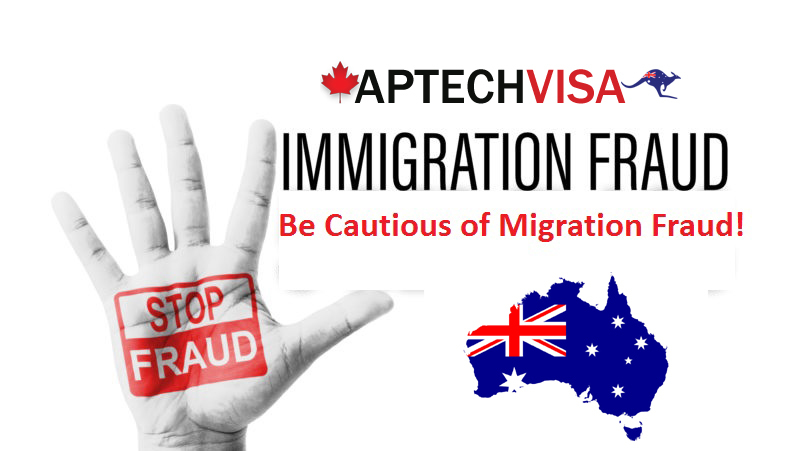 You must make sure to apply cautiously for Ontario Immigrant Nominee Program. 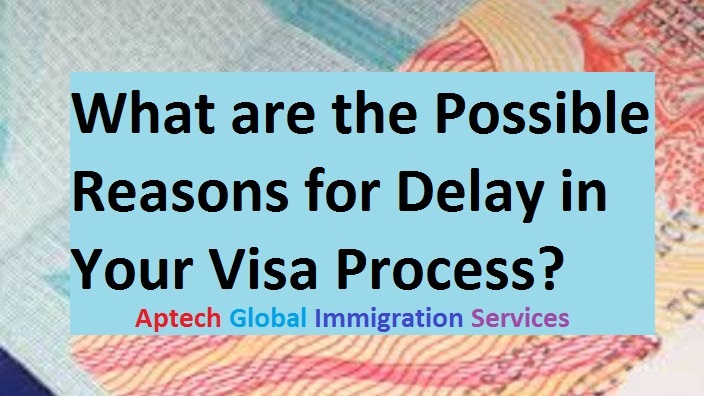 Though, the processing time is affected by the overall application profile. 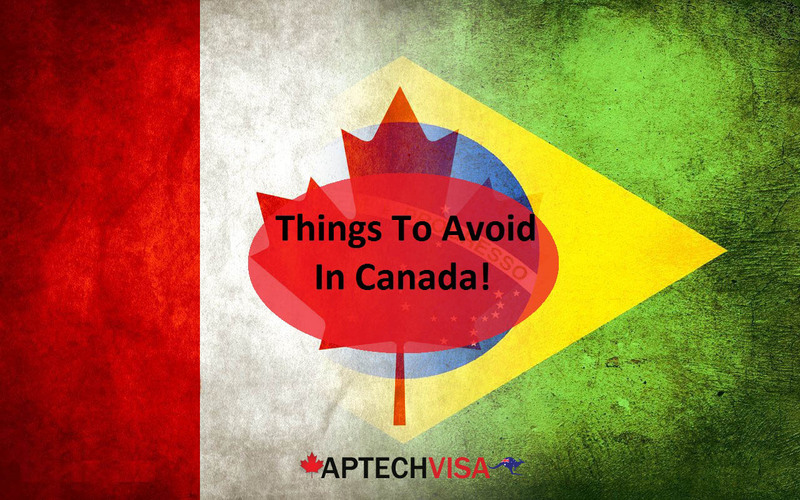 It is suggested that you prepare Ontario profile much in advance prior to applying to avoid unwanted delays. 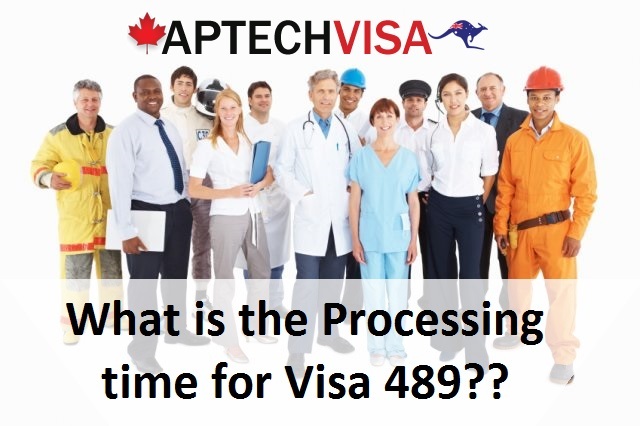 There are other factors that impact Ontario Processing times that include backlog of visa applications, complex cases, and documentation submission. 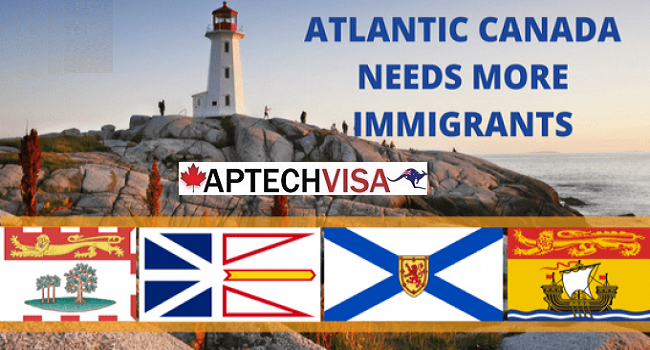 There are different streams under Ontario Provincial Nomination Program and every program has its own process of inviting migrants. 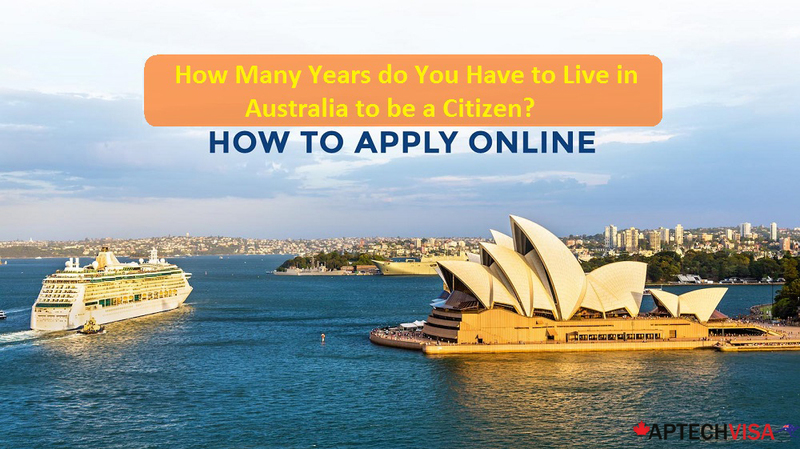 Check your eligibility requirements before applying for OINP. 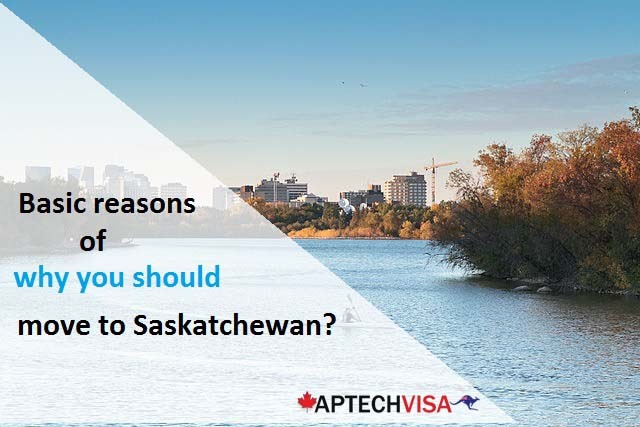 Know the step by step procedure of applying for your desired Provincial Nomination Program by connecting to our visa and immigration experts. 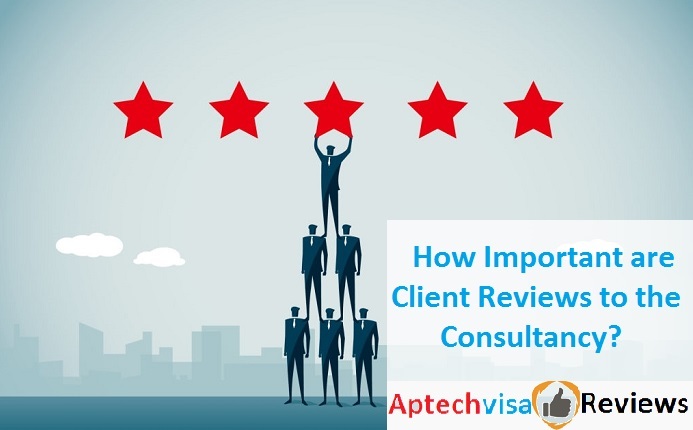 You may call the experts at 7503832132 today! 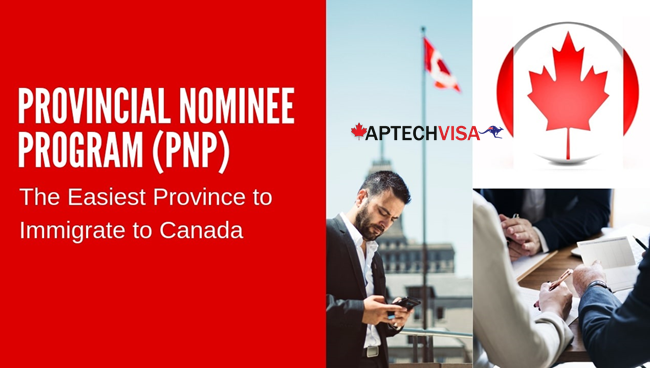 Click here to know the process of applying for Ontario PNP Nomination! 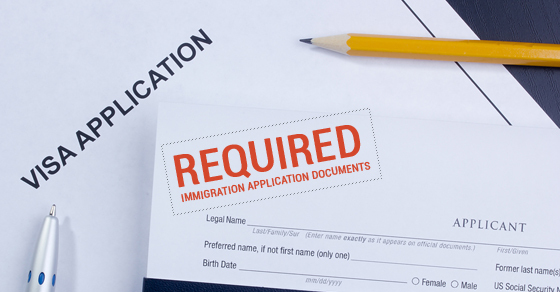 Before applying for Ontario Immigrant Nomination Program an applicant must check whether they are eligible for OINP in the stream they are hoping to apply. 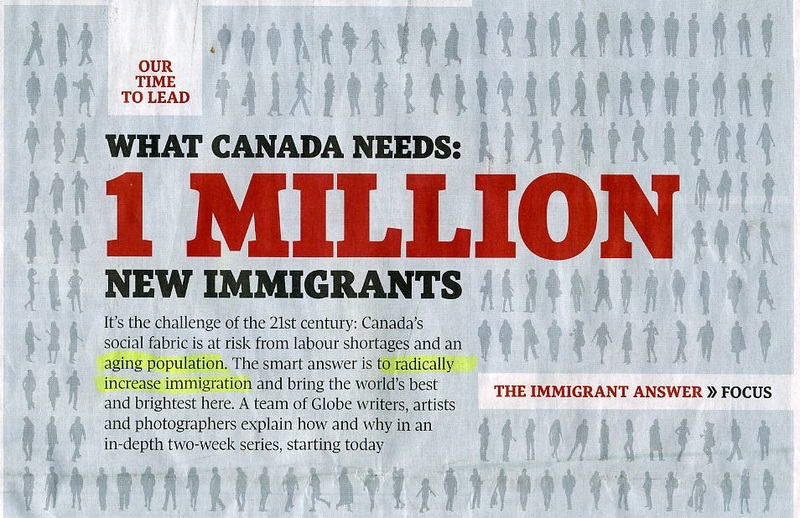 The certain point criteria is set up by the immigration department of Ontario that a migrant must accomplish. 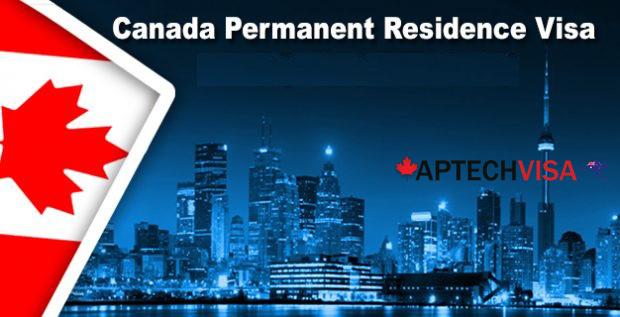 Your documents are the key requirement when applying for Canadian Permanent Residence and specifically Ontario Immigrant Nominee Program (OINP). 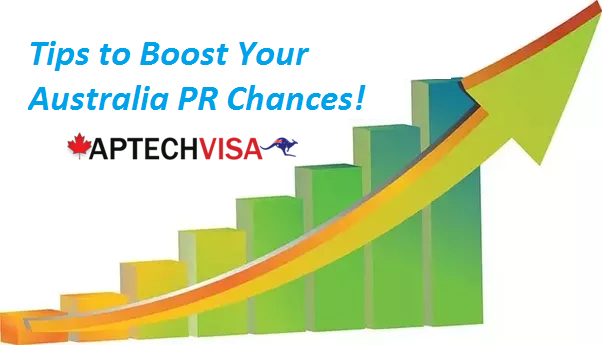 It is suggested to prepare your document kit well in advance to avoid any last minute glitches and delays in PR processing. 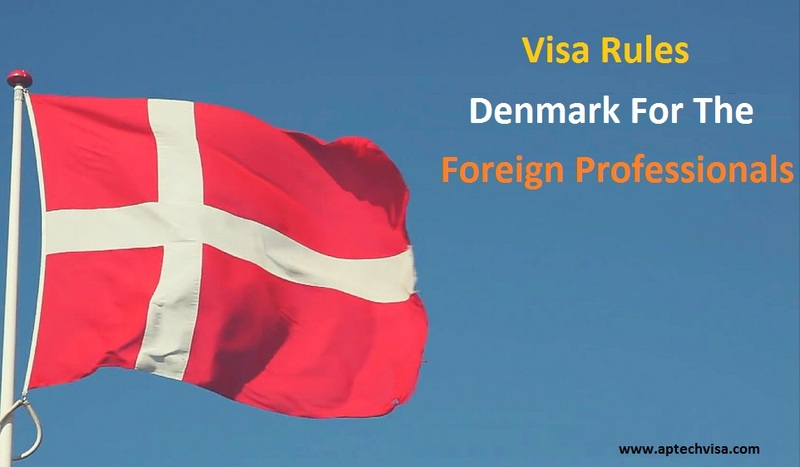 The documents are required on the basis of different OINP program that you applied. 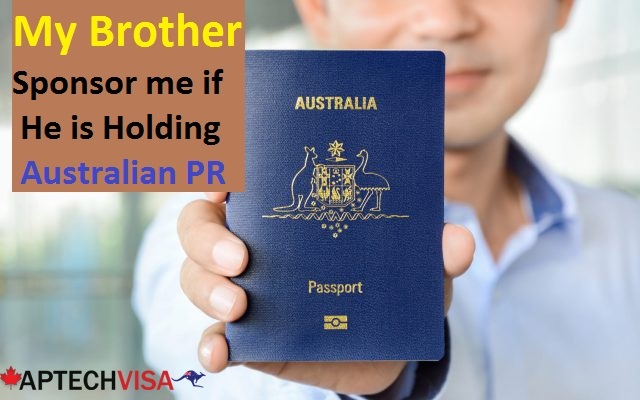 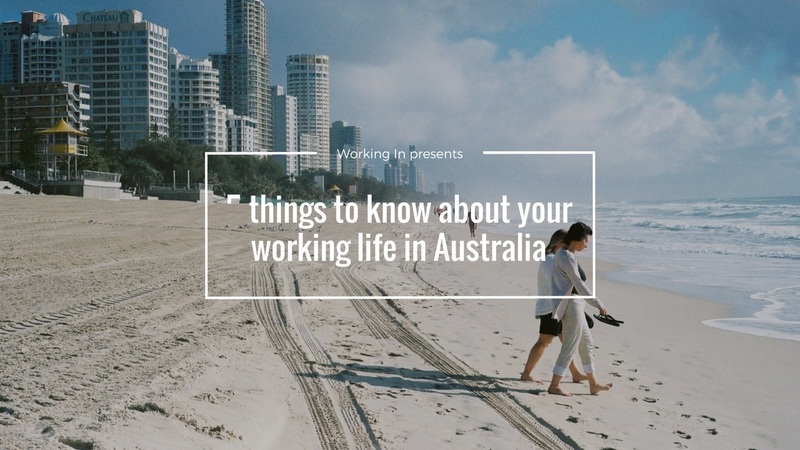 For example- if you have applied for job offer category, you would require presenting job offer letter as well and other requirement as and when asked by the immigration department. 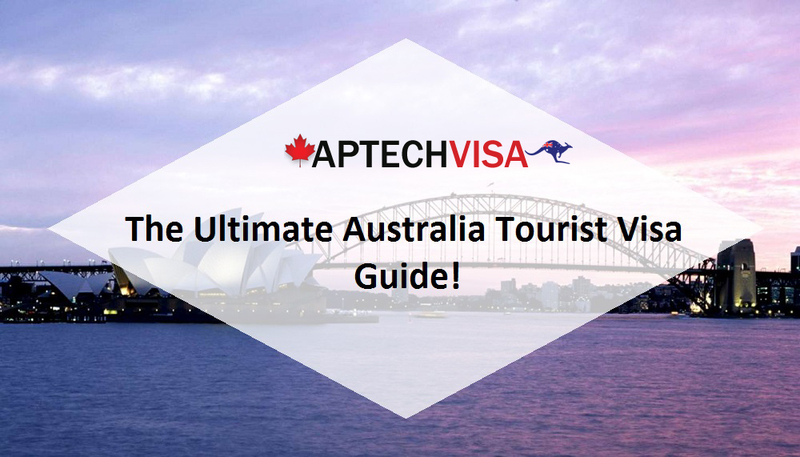 To have a look at the complete document kit, click here! 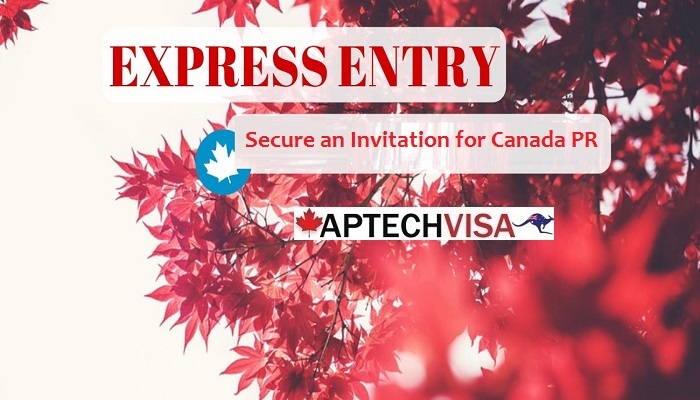 After creating the express entry profile under OINP and applicants with the active express entry profile who have Comprehensive Ranking System (CRS) score 400 and above may apply for provincial nomination from Ontario. 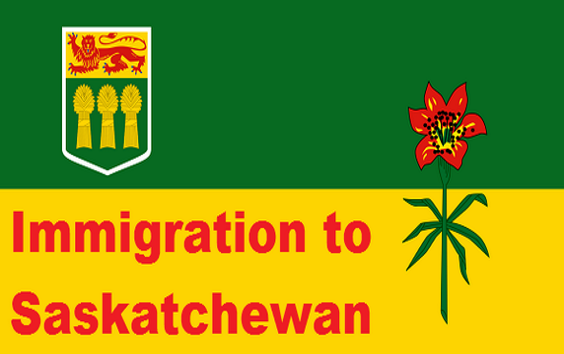 The successful migrants who receive provincial nomination are entitled to receive 600 additional CRS points that increases your current CRS score, making way for Notification of Interest (NOI) in the next OINP draw. 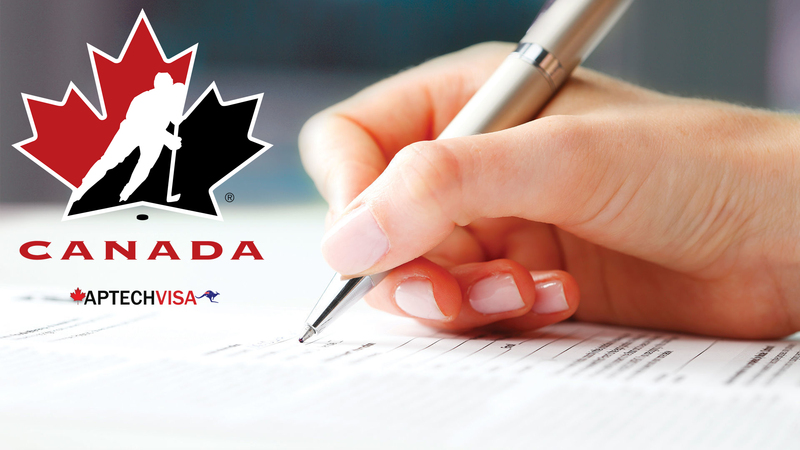 Once you receive an invitation to apply from CIC, you will be asked to submit your application for permanent residence through Express Entry. 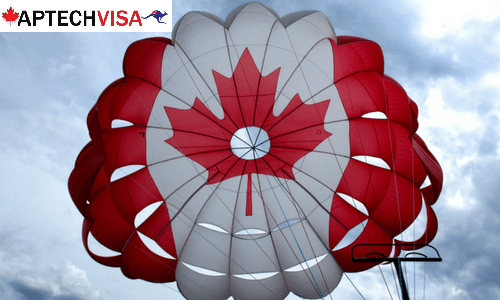 The government of Canada will give you the deadline of 60 days to apply for Canada PR. 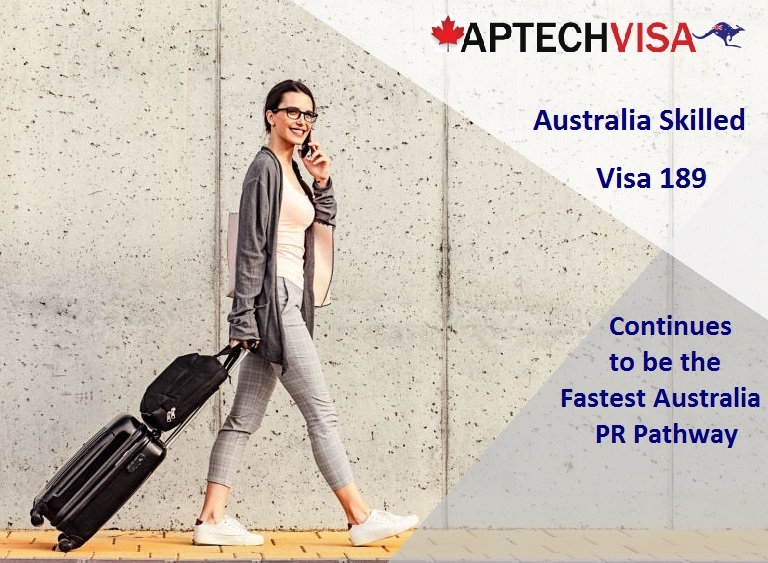 After granting of your visa, get set go to Ontario by packing bags and taking along the relevant documents that you might require in your immigration journey. 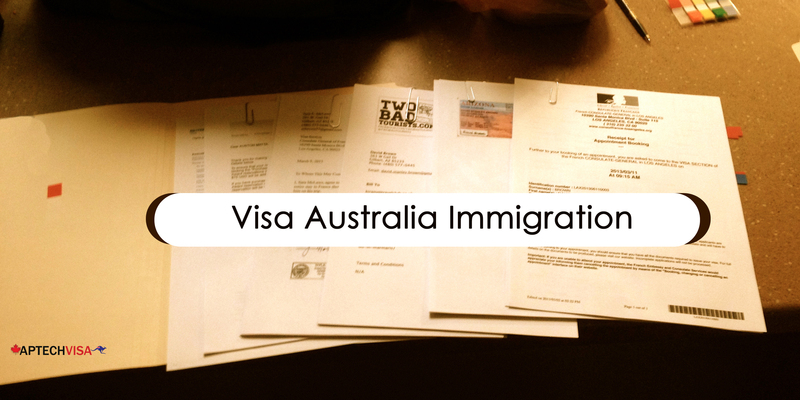 These include passports, identity documents, health and character certificates etc. 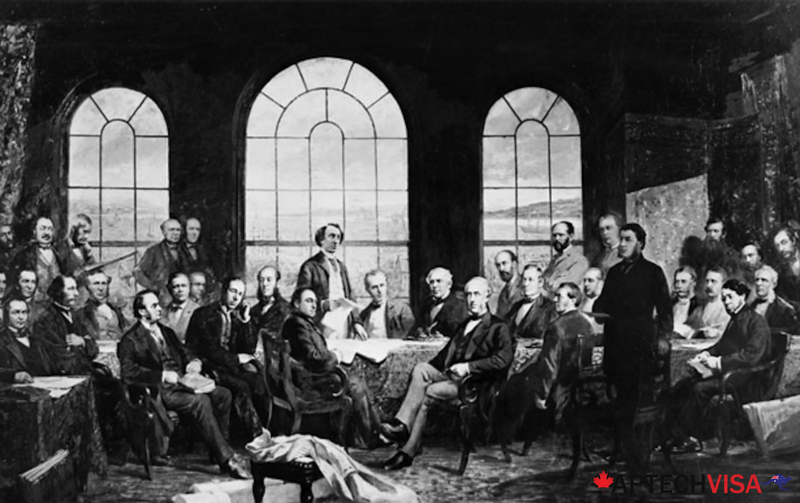 Also, you must ensure that you maintain your obligations to the Ontario Government. 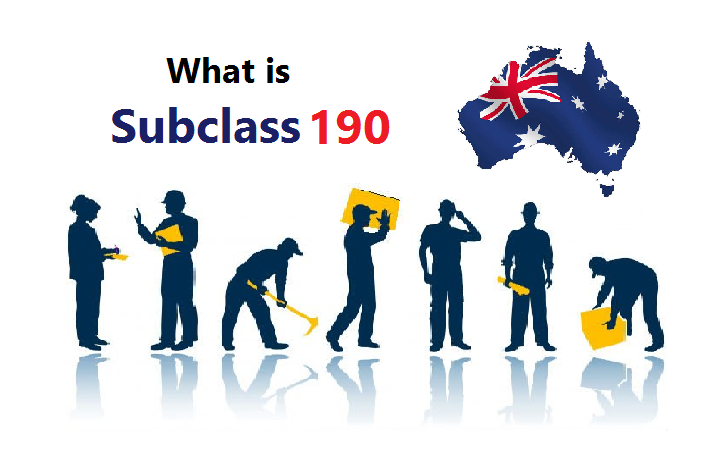 This includes updating contact details, completion of surveys, and fulfilment of any further queries. 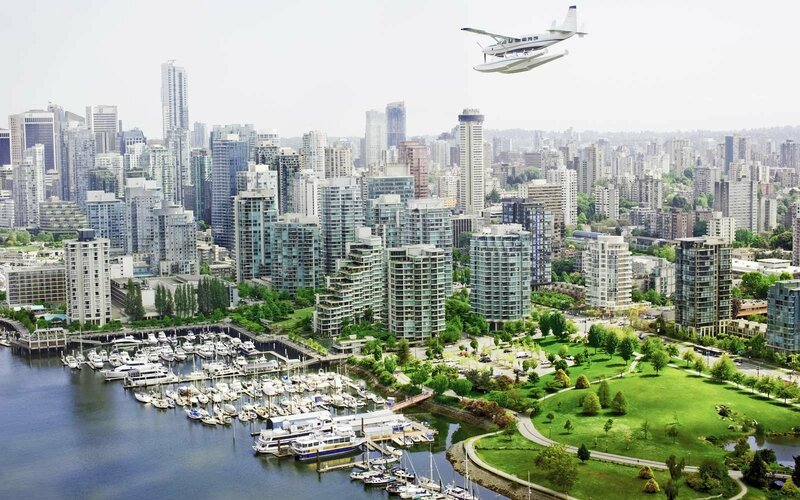 Your post landing hustle can be solved by applying for Post-Landing Services where the experts give you detail about the life in Ontario! 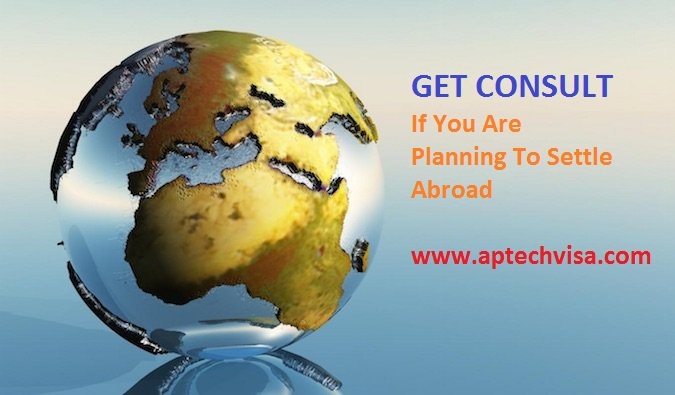 Connect to our experts at 7503832132 today! 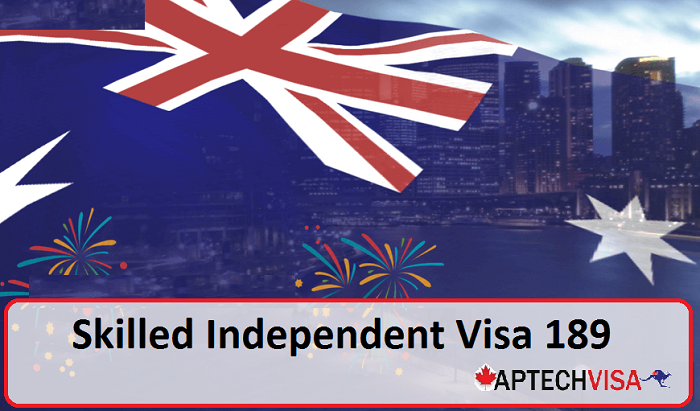 Applicants below the age of 45 years are eligible to apply for Ontario Immigrant Nominee Program at the time of visa lodgment. 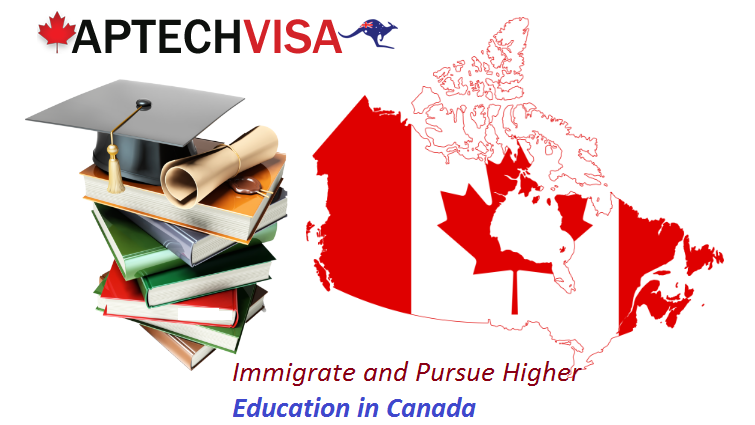 Applicants must have completed post-secondary education, bachelor’s education and training according to the educational standards of Canada. 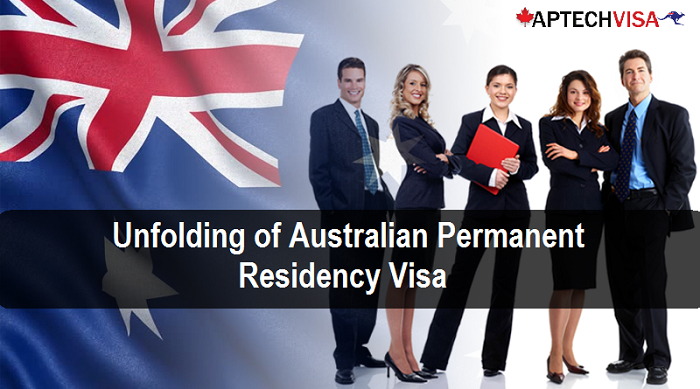 Applicants applying for OINP must have work experience in a high skilled occupation classification (NOC) matrix level. 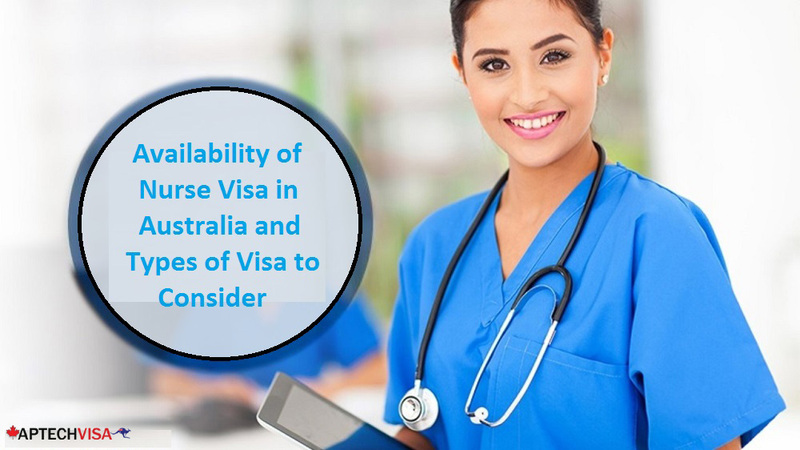 You are also required to show proofs of professional status or licensure wherever required. 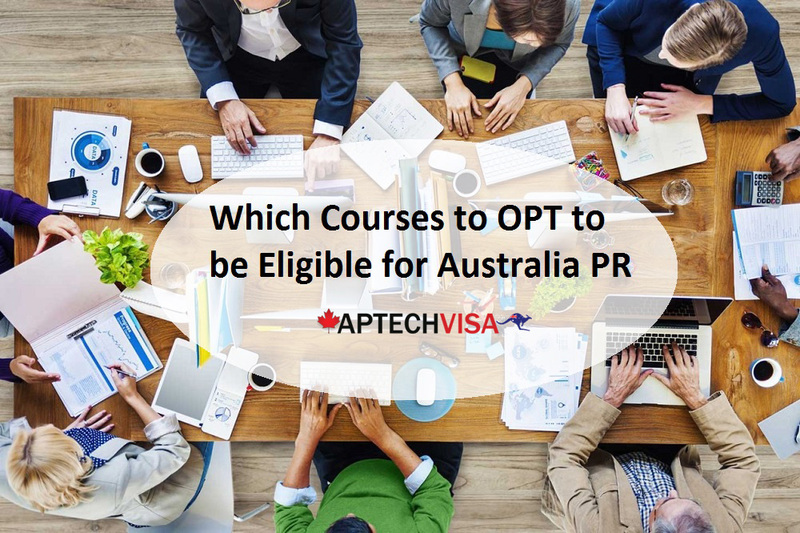 Applicants have the option to apply for Canada PR without job offer and there is no mandatory requirement, you can very well apply for OINP without job offer! 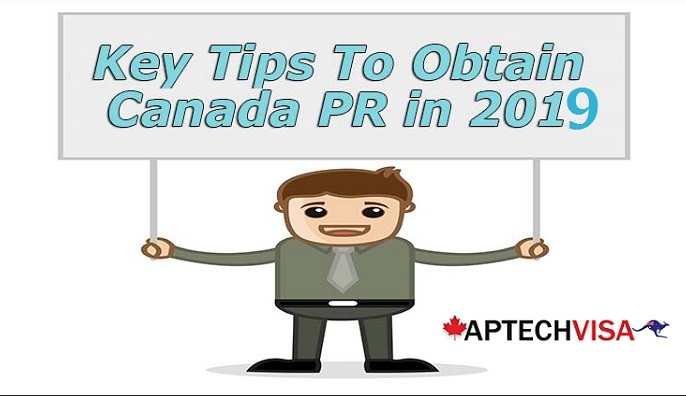 If in certain case, the Ontario Employer has already provided you with the employment and you have job offer letter of the same- you may still apply for Canada PR through OINP under human capital stream. 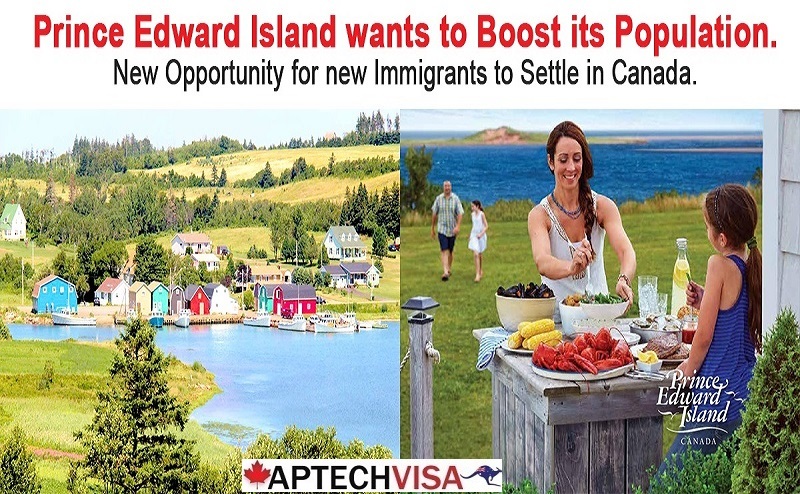 The job offer will only enhance changes for Canadian immigration. 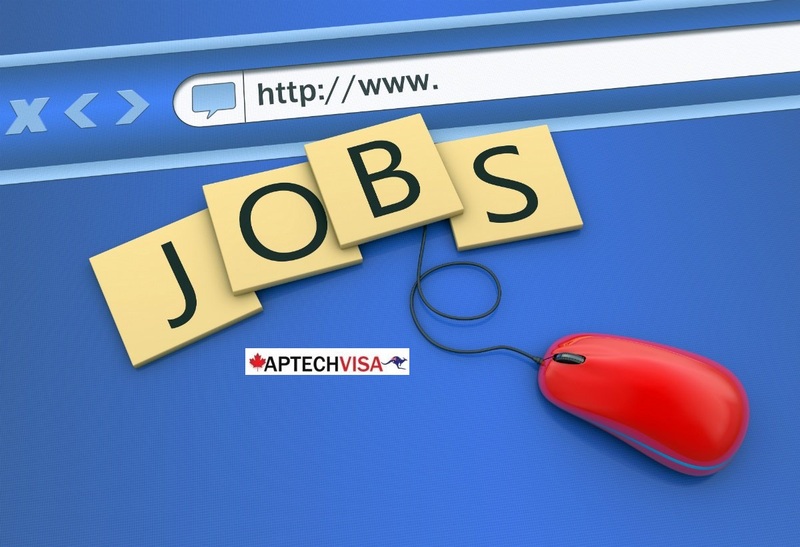 Apply Ontario PNP without job offer! 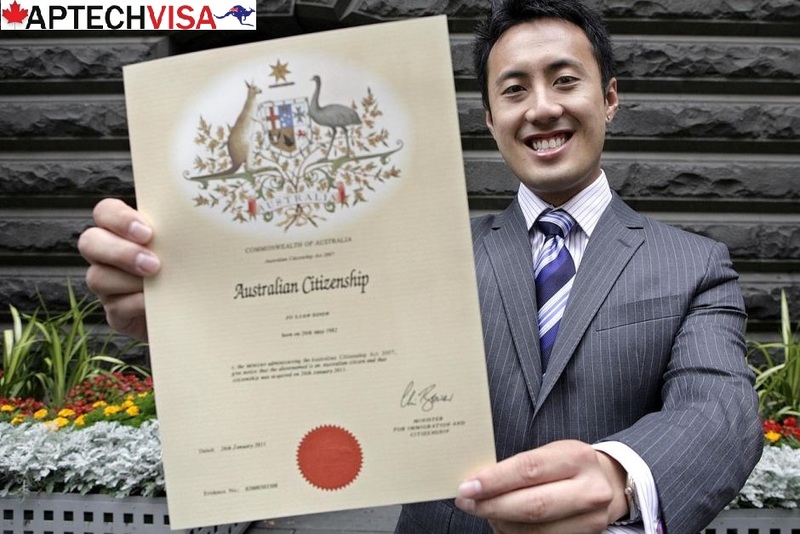 Applicants applying for OINP must have at least CLB 7 at the time of visa lodgment. 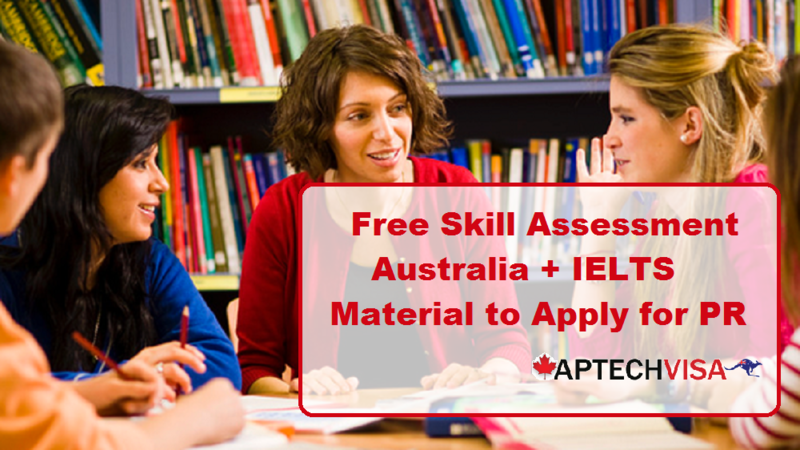 This means that you should score at least 6/7 or higher in the IELTS language test. 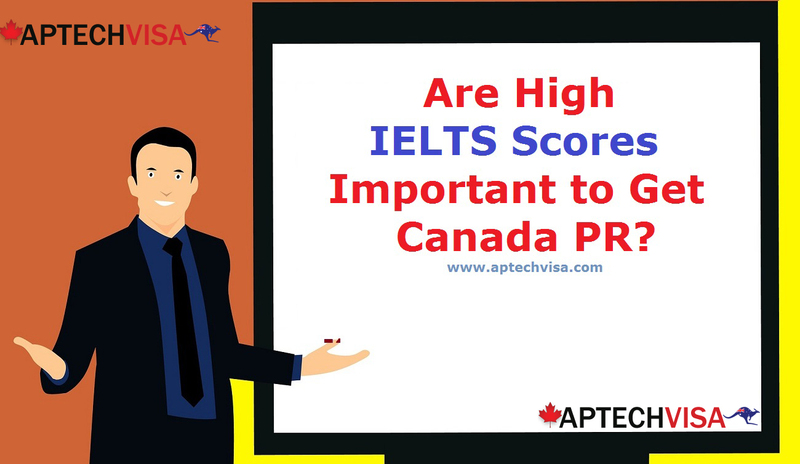 Check IELTS Requirement for OINP to know your Canada PR Chances! 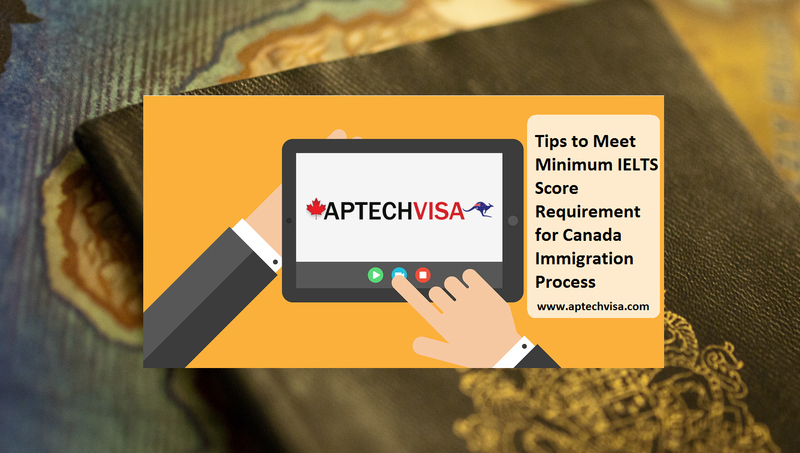 All the applicants applying for OINP must focus on scoring CRS 400 or greater out of 1200 and this score must remain throughout provincial and federal processing (applicable for Ontario Express Entry System). 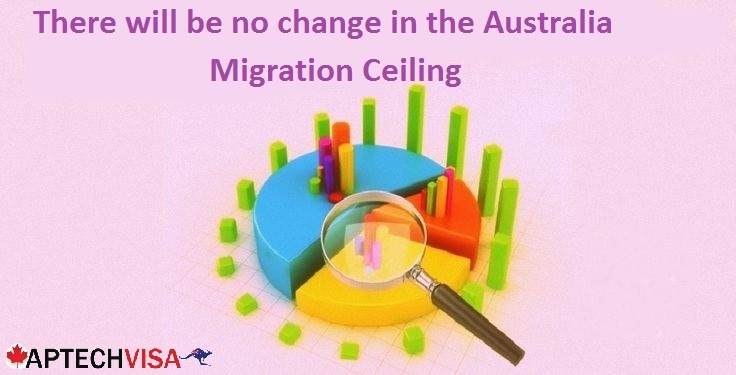 The points are calculated for age, educational qualification, work experience, language ability and adaptability factors. 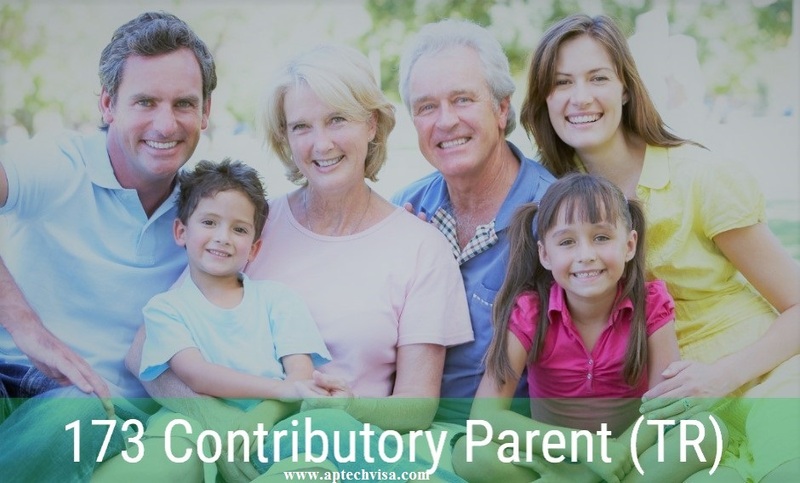 When immigrating to Ontario you must ensure that you have enough funds to sustain yours as well family members living. 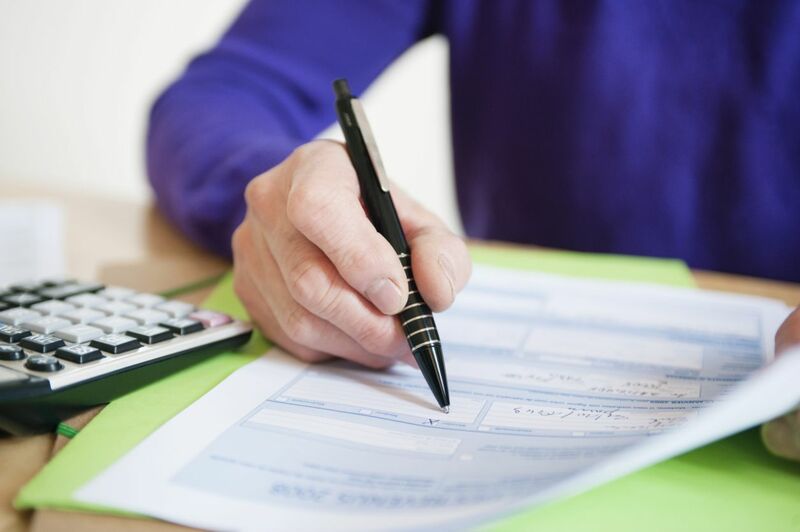 You must show enough funds to ensure that you can carry on your work in Ontario before searching for employment. 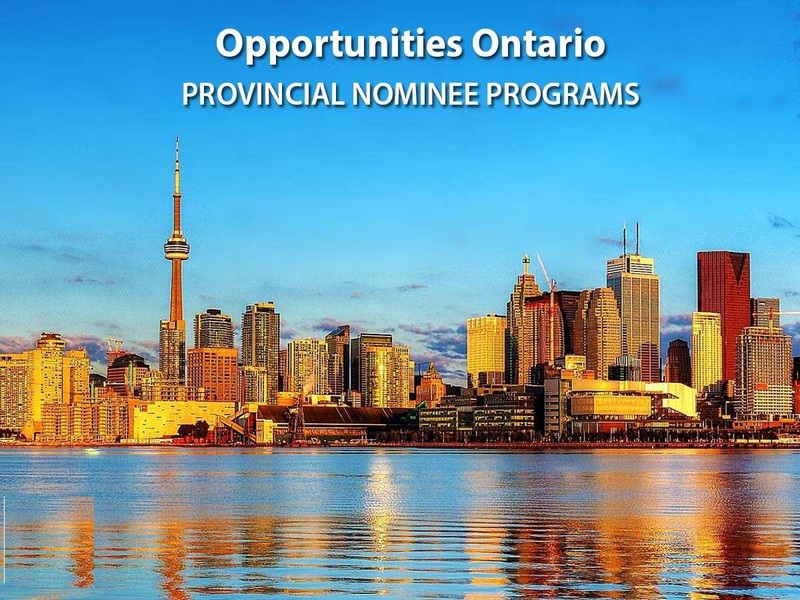 To know the minimum Ontario Funds Requirements for OINP PNP Nomination you may click here! 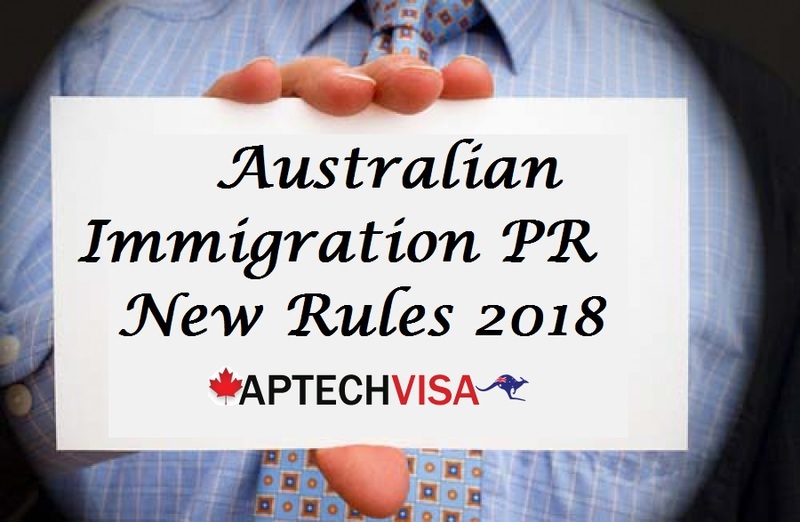 Please note that immigration is highly fluctuating industry and changes can be made anytime with respect to the Ontario requirements. 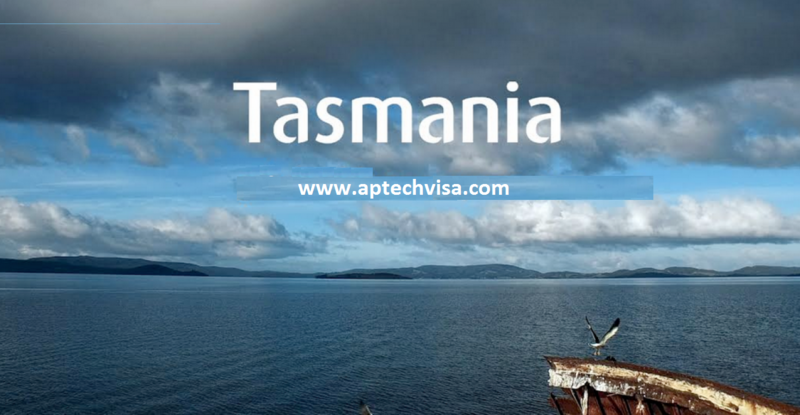 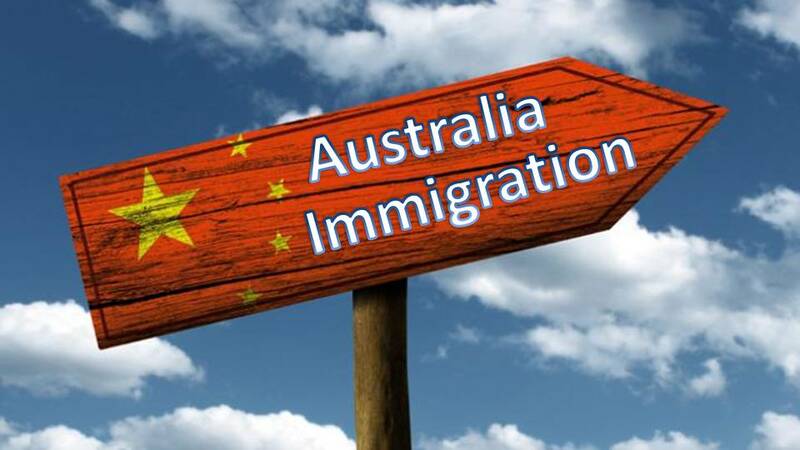 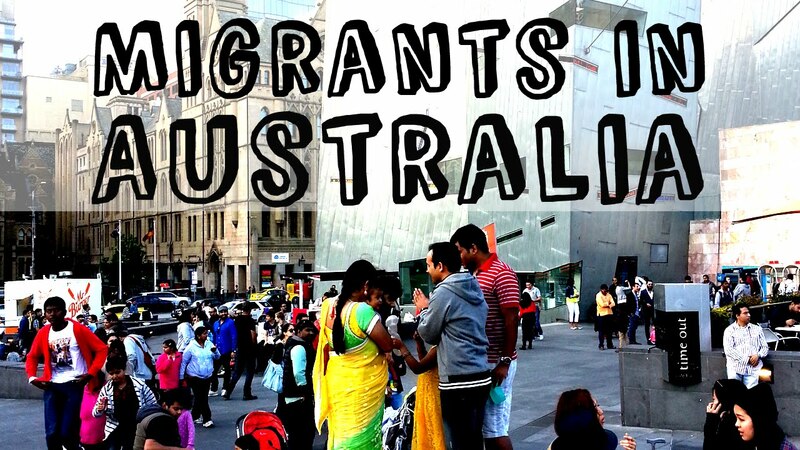 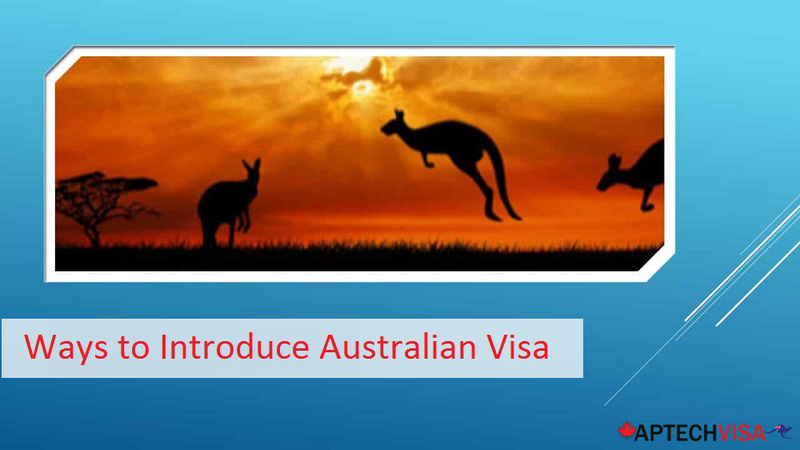 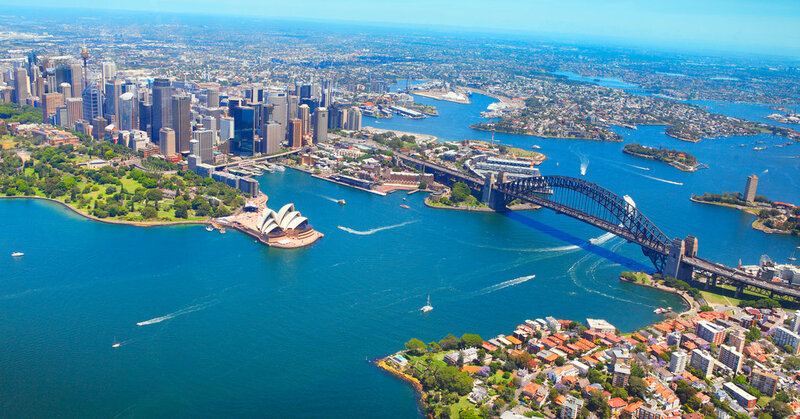 For maximize immigration chances, it is suggested to take assistance from experienced visa and immigration experts. 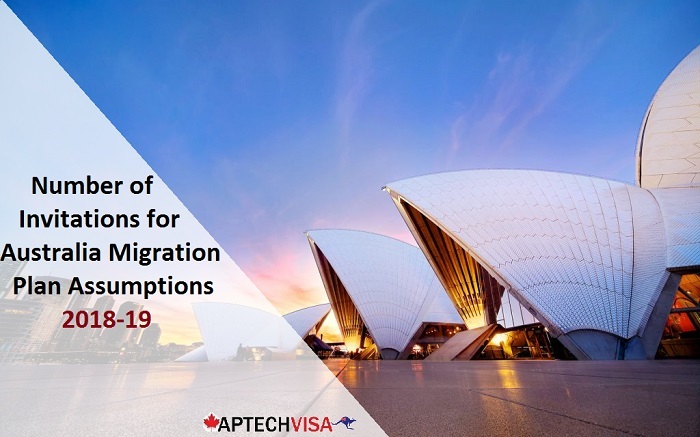 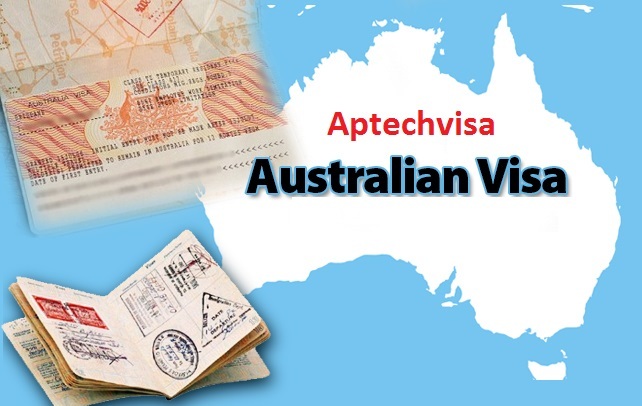 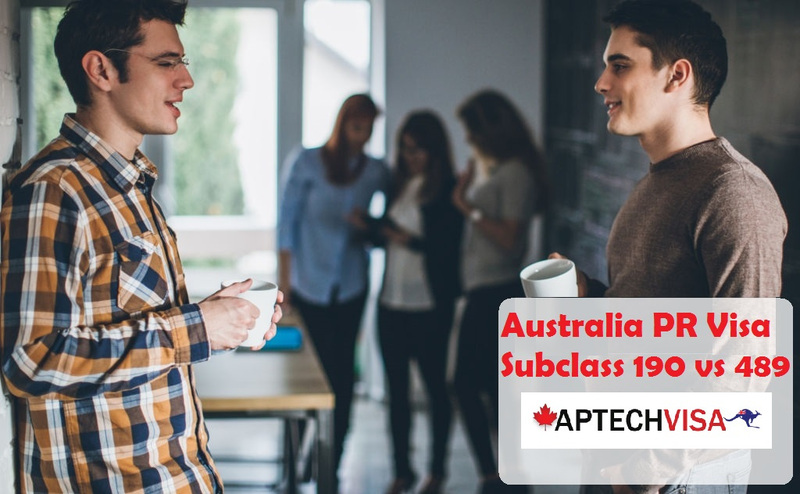 If you have any queries related to ever-changing Ontario requirements, why not connect with visa and immigration experts of Aptech Global to maximize immigration chances. 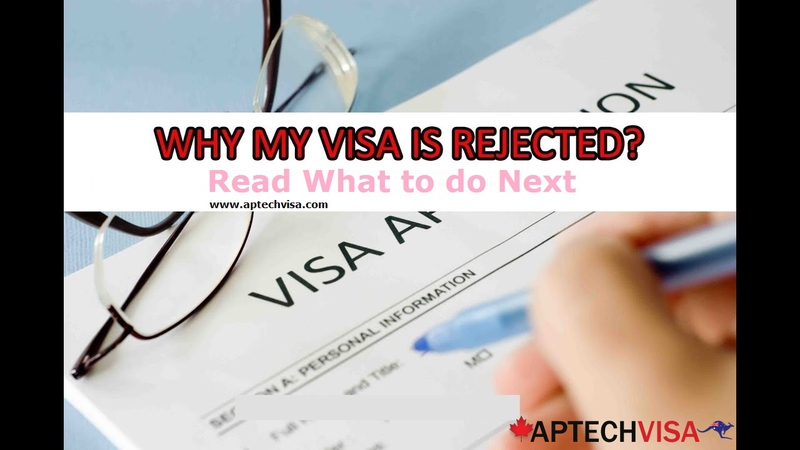 Minute glitches in your visa application can break your immigration dream to Ontario. 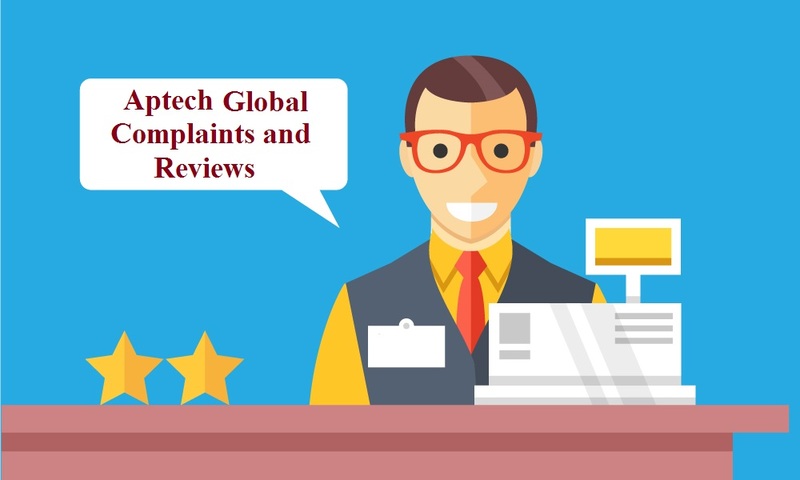 To avoid such problems, Aptech Global experts are right here to assist you! 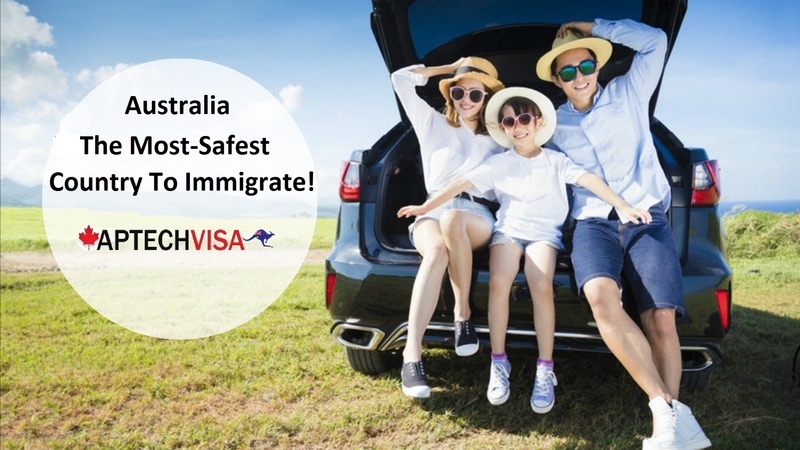 Connect with the visa specialist at 7503832132 today! 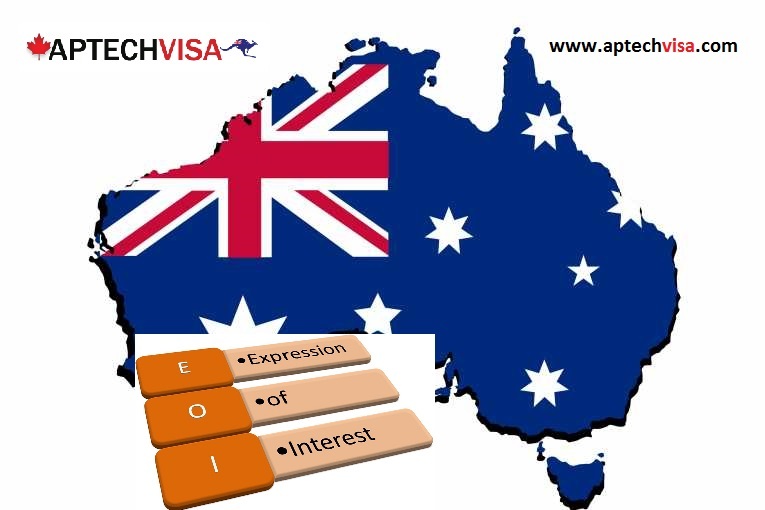 Well, to apply for OINP under Express Entry Stream it is not necessary that your occupation have NOC code. 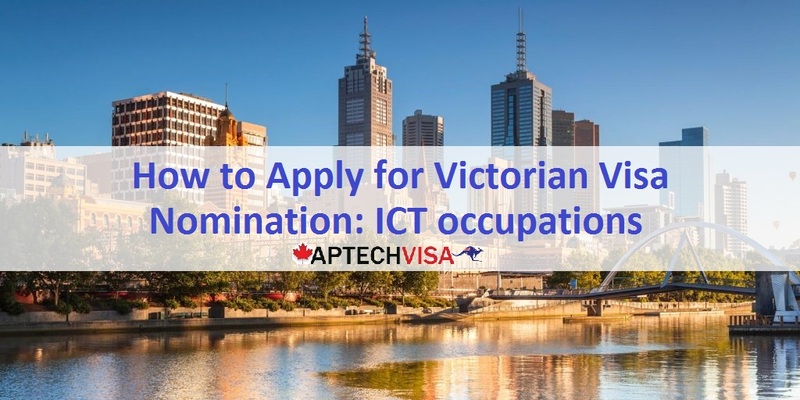 You are still eligible to apply for OINP irrespective of your occupation mentioned on CIC website or not. 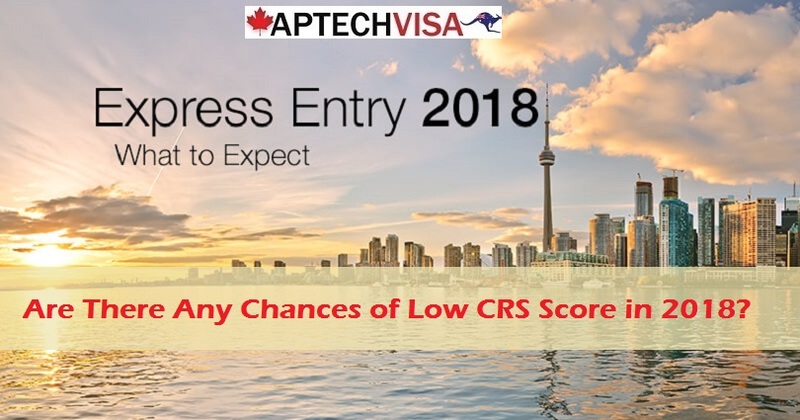 The applicants applying for OINP- Express Entry Human Category Stream are invited by the province of Ontario on the basis of their overall Comprehensive Ranking System (CRS) Score. 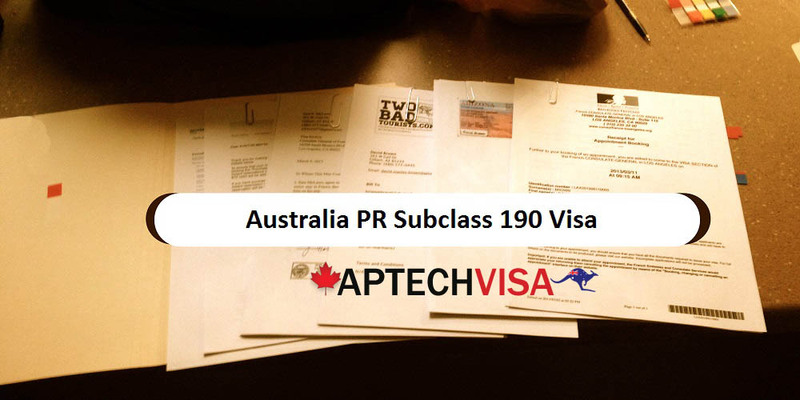 The highest CRS ranking applicant is invited to apply. 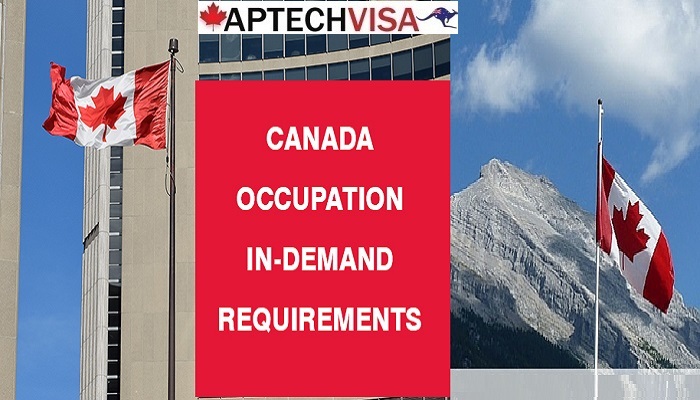 Therefore, if your occupation is listed on CIC website and has National Occupation Classification (NOC) code at skill level 0, Type A or Type B of Canada, you may apply for OINP. 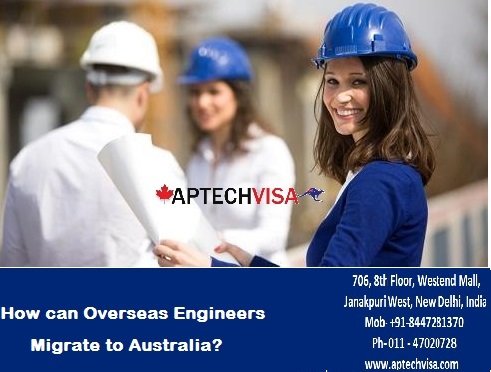 You must have at least one year of experience in the past 10 years to be able to apply for OINP. 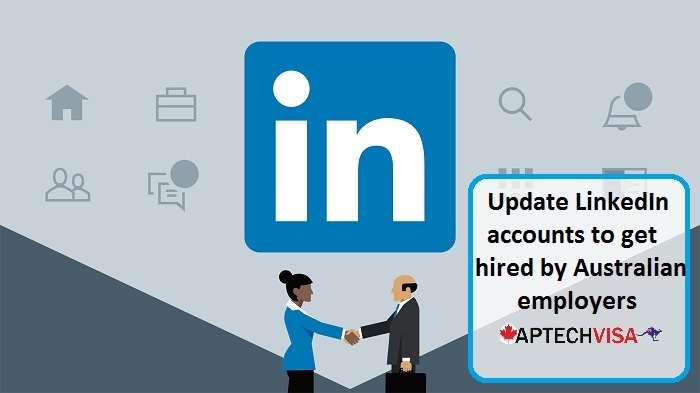 You may connect with our OINP occupation experts in order to confirm the latest status! 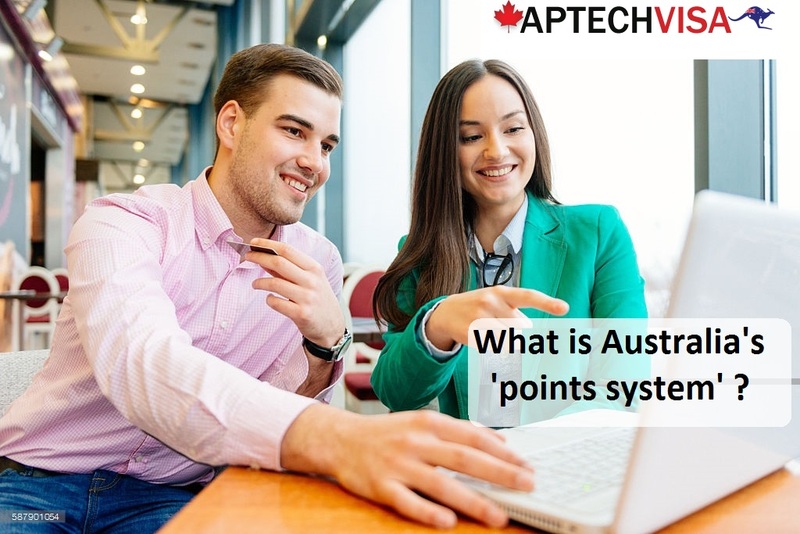 Ontario Immigrant Nominee Program works on the point system. 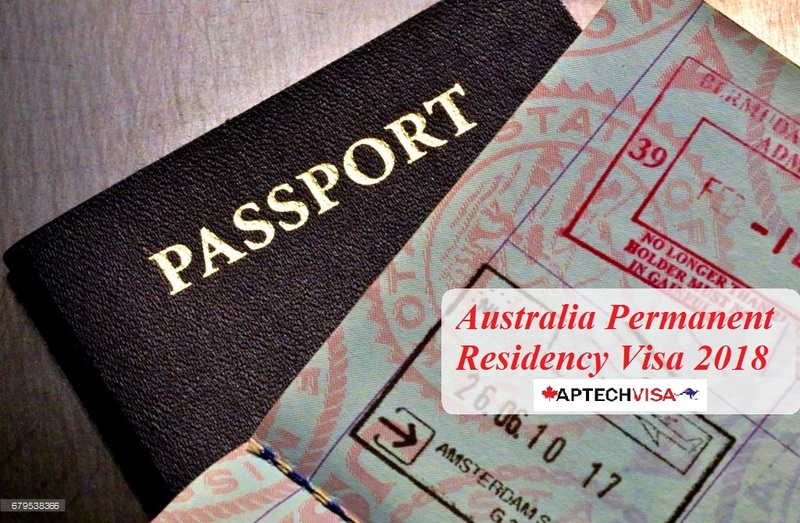 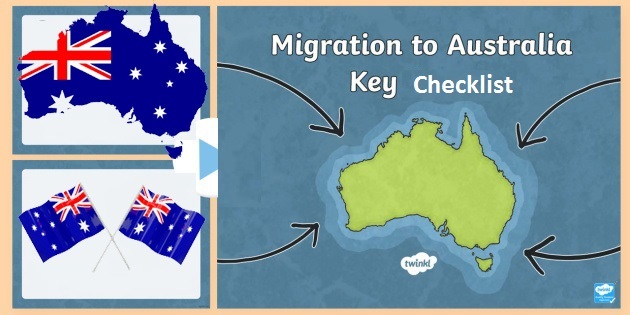 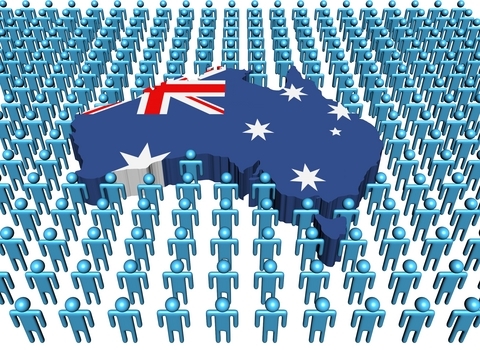 The points are calculated for each credentials described by the immigration department. 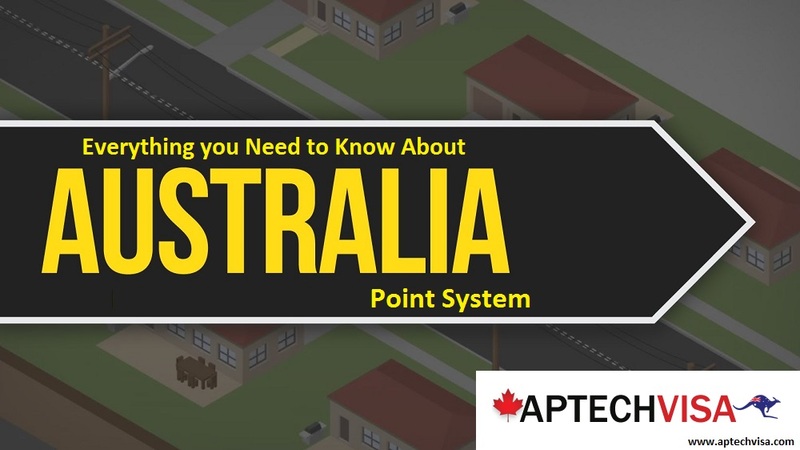 There is no minimum point set requirement by Ontario. 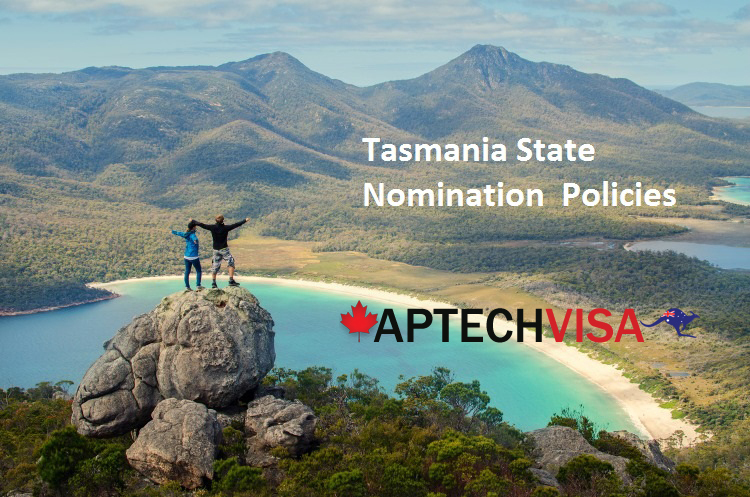 To give nominations, the province conducts regular draws and selects applicants who score high in the pool of candidates and issues nomination certificates. 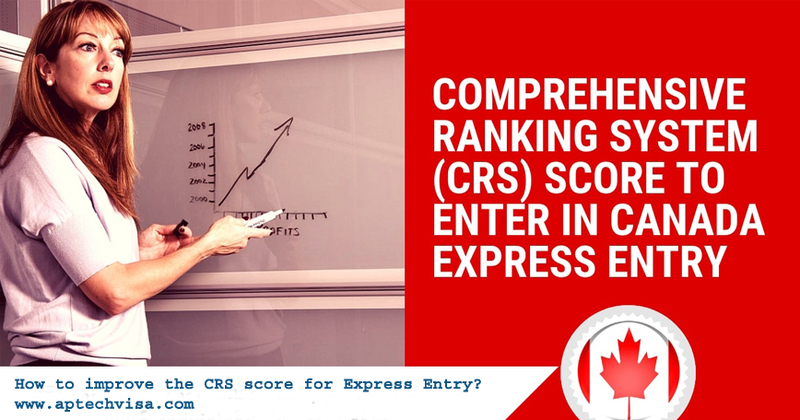 The score are calculated for Comprehensive Ranking System. 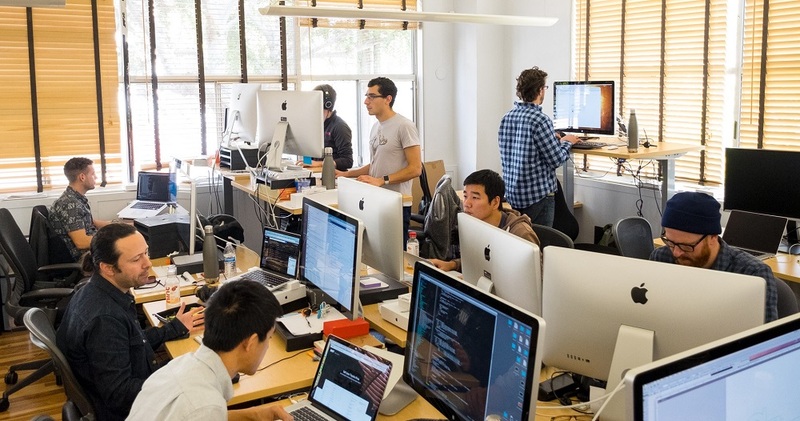 The preference is given more to the applicants with CRS 400 and above. 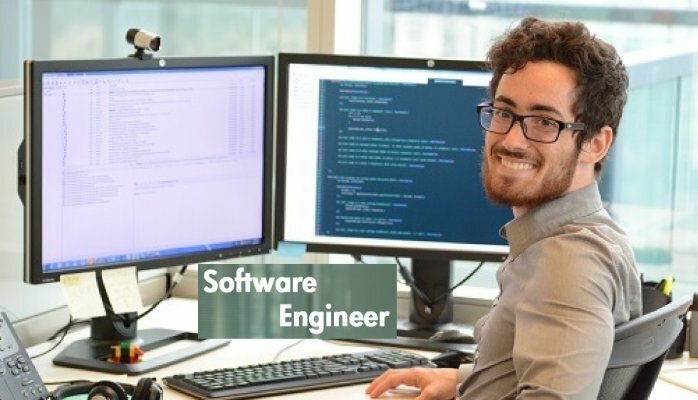 Connection(s) and adaptability to the Ontario labour market. 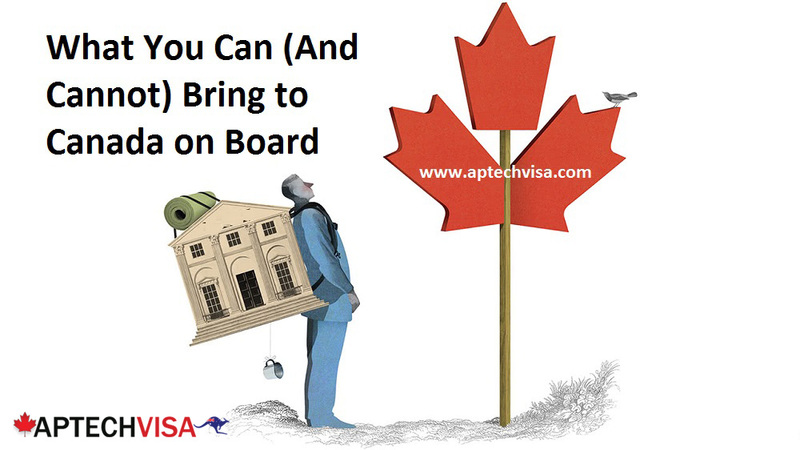 It is advised to check your points before hand for applying Ontario Immigrant Nominee Program. 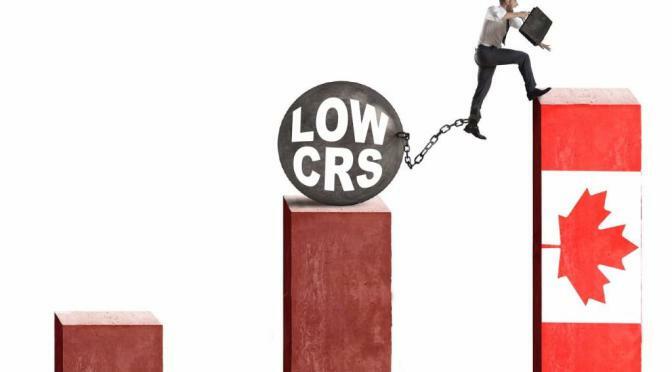 The higher are your CRS score, the better are your chances of getting OINP. 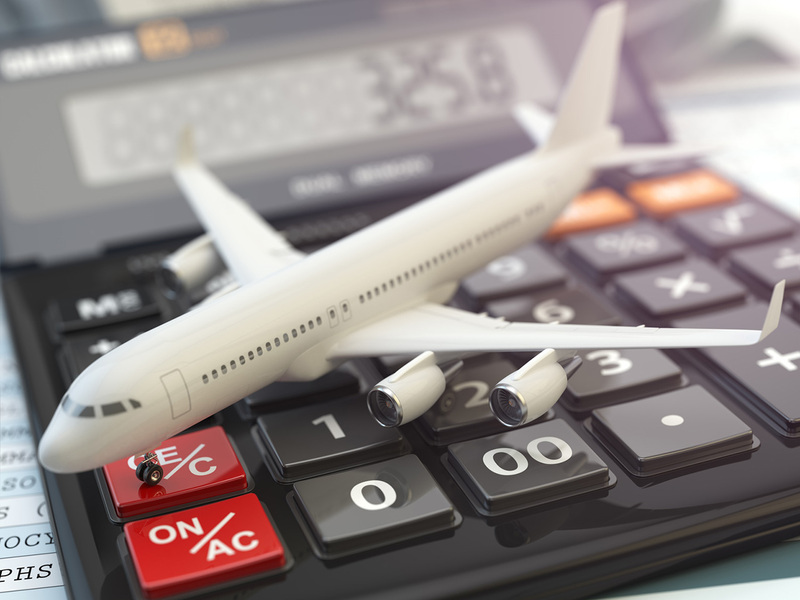 Calculate your CRS points using Ontario PNP Point Calculator For any further query, you are most welcome to connect with our visa and immigration experts at 7503832132 today! 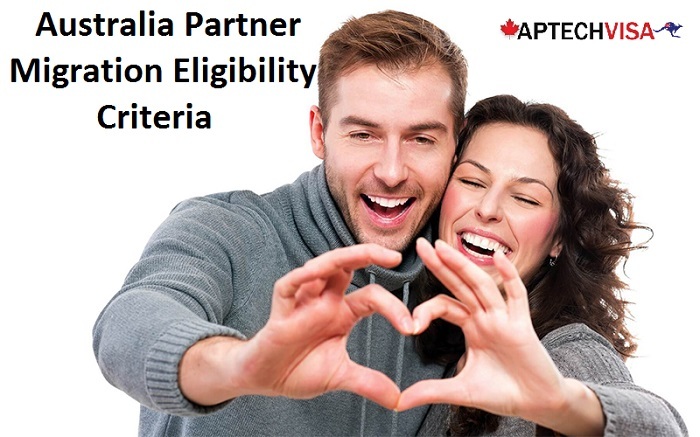 Ontario Immigration Nominee Program is unique provincial program that considers total CRS score and issues Notification of Interest (NOI) to the eligible applicants. 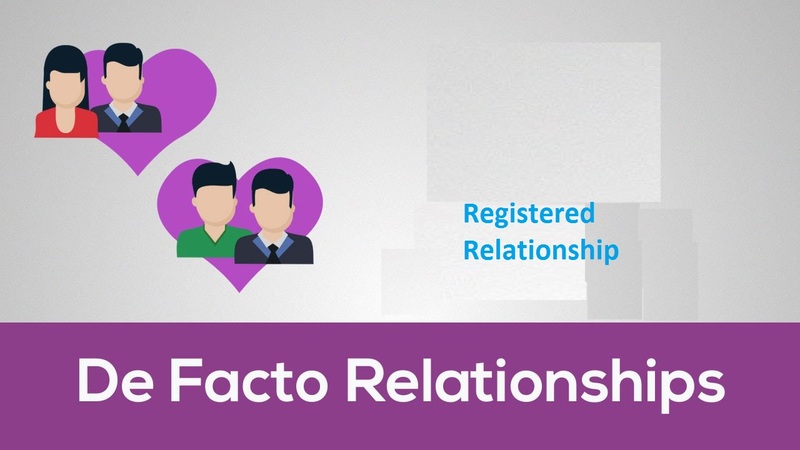 Let us first find out, what is NOI? 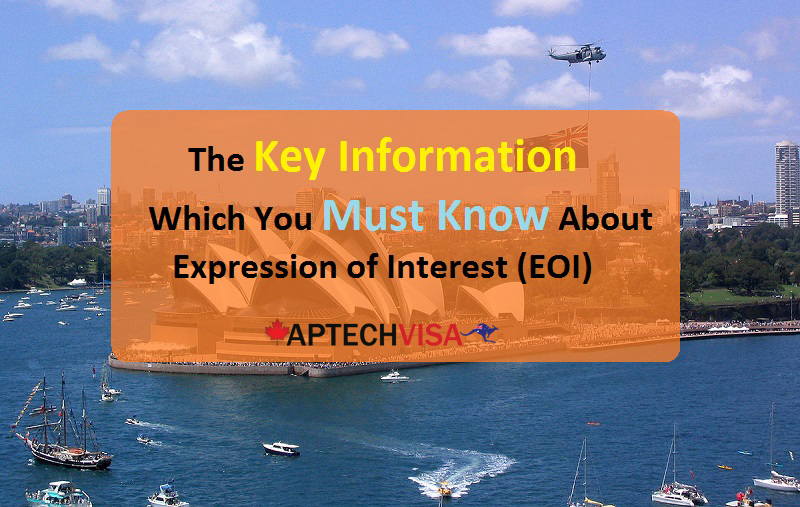 Notification of Interest (NOI) is an invitation from the province of Ontario to apply under OINP. 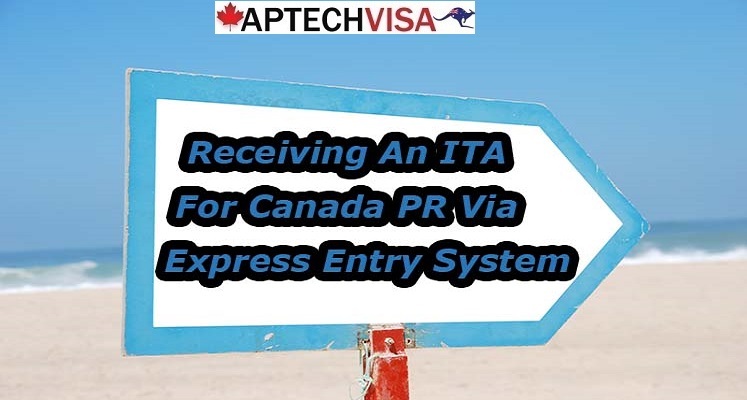 “It is similar to ITA but not exactly ITA.” The applicants after getting NOI from Ontario are given 60 days time to revert-back and get nomination certificates from Ontario. 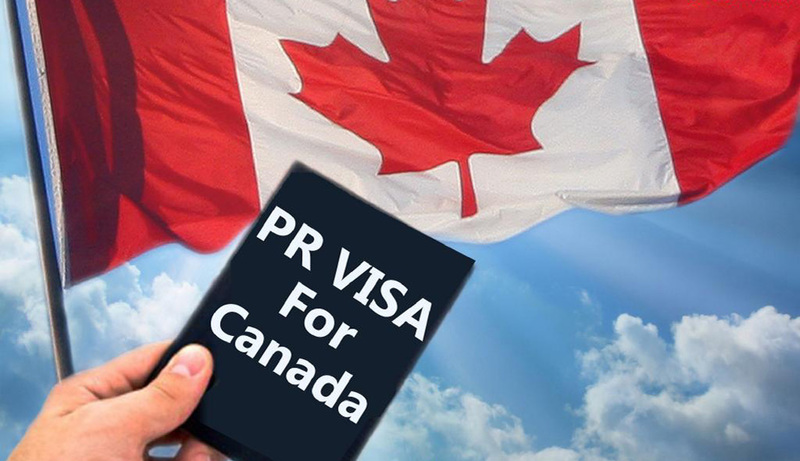 The provincial nominations enable you with 600 additional CRS that further boosts the immigration chances for Canada PR. 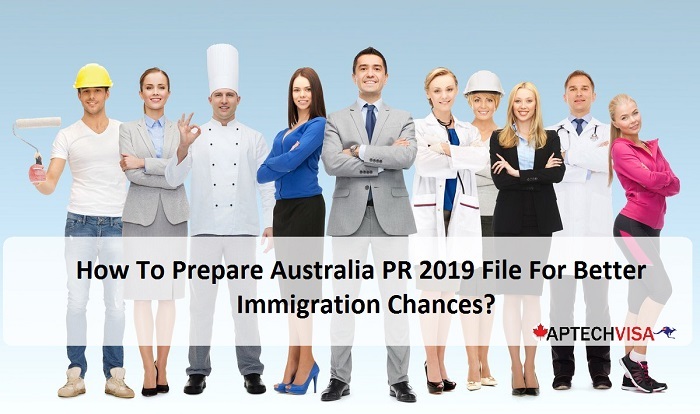 The latest Ontario PNP draw was conducted on 24th Jan, 2019 under Federal Skilled Worker Program. 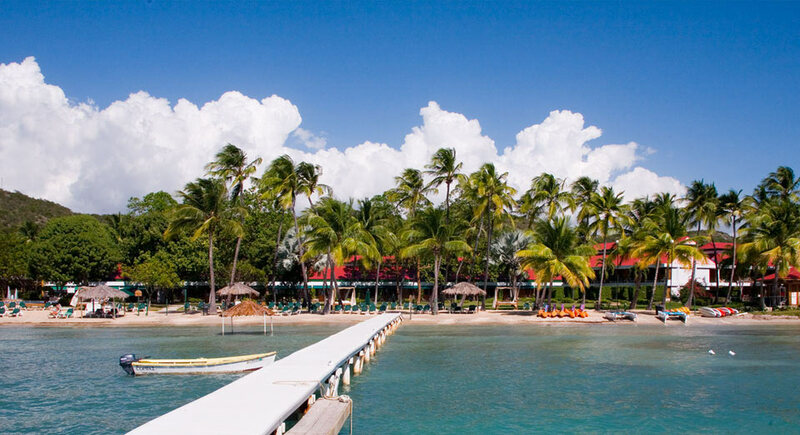 It is speculated that Ontario is opening soon in 2019! 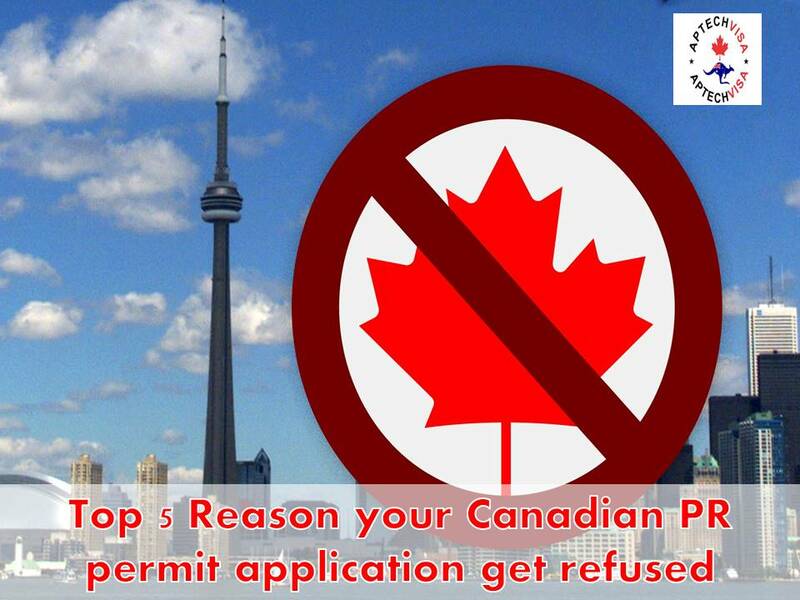 Apply for Canada PR through Ontario Immigrant Nominee Program before it is too late! 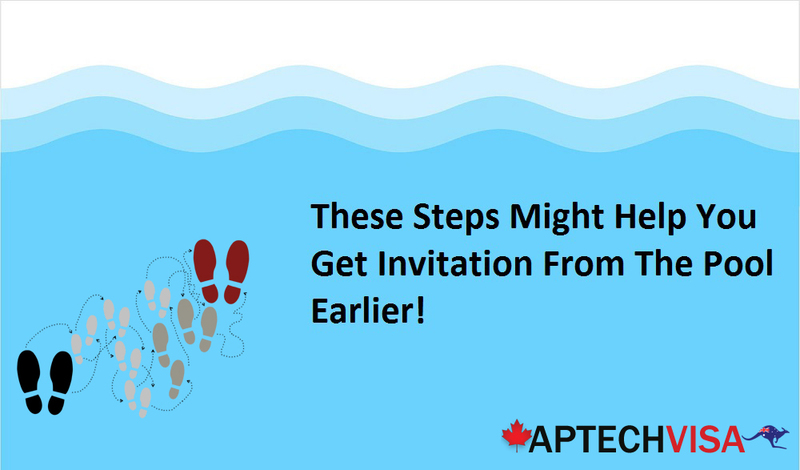 Up till now, a total of 1,493 invitations have been issued by the province of Ontario in their regular OINP draws. 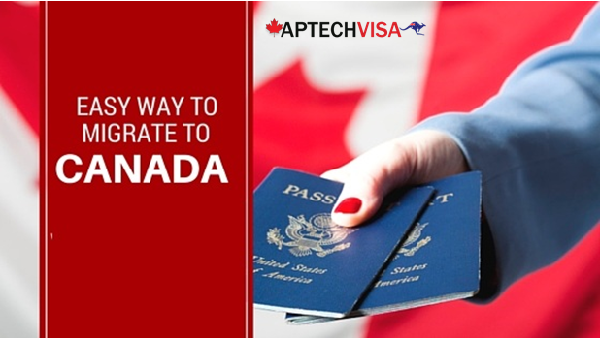 Just like almost every province of Canada, applicants applying for Ontario are also required to pay the mandatory application fee of $1500 CAD for international skilled worker programs. 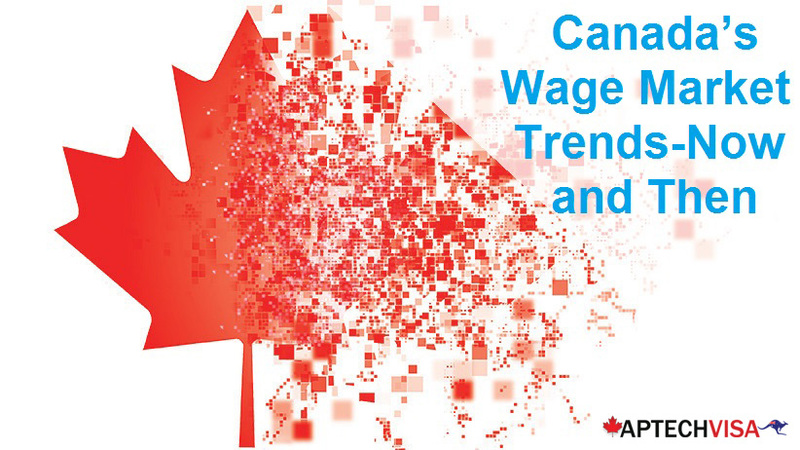 The fee is vital for applicants applying through Federal Skilled Worker Program (FSWP), Canadian Experience Class (CEC), Human Capital Priorities Stream and Master’s Graduate Stream. 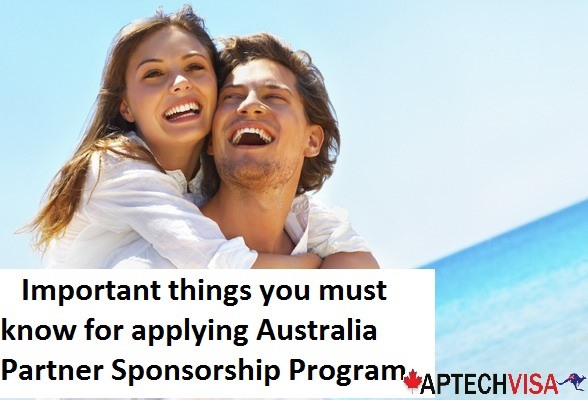 Additionally, the immigration officials of Ontario can also asks for the fund settlement requirements from the applicants applying for permanent residence through OINP. 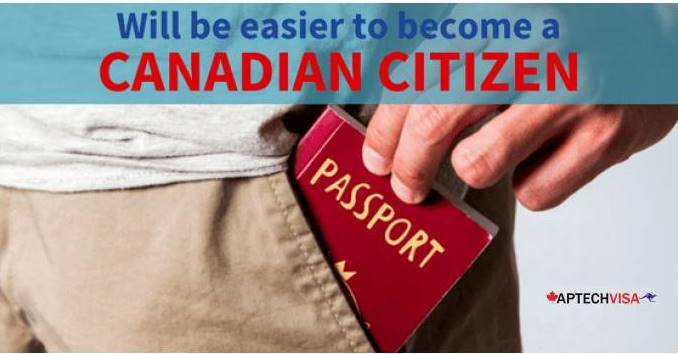 This is done to check that migrants coming to Ontario must have enough funds to sustain their livelihood during their stay. 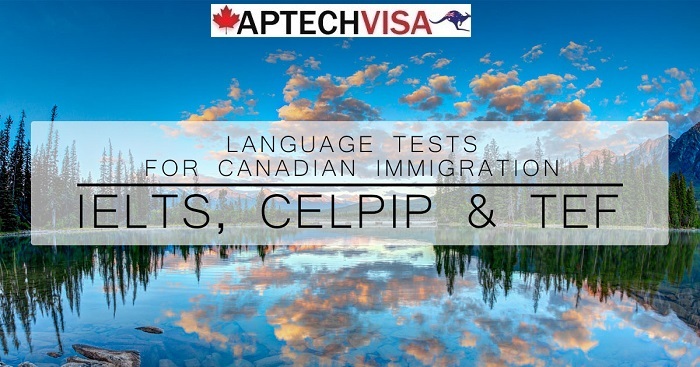 Language Requirement is key essential factor for Canadian Permanent Residence. 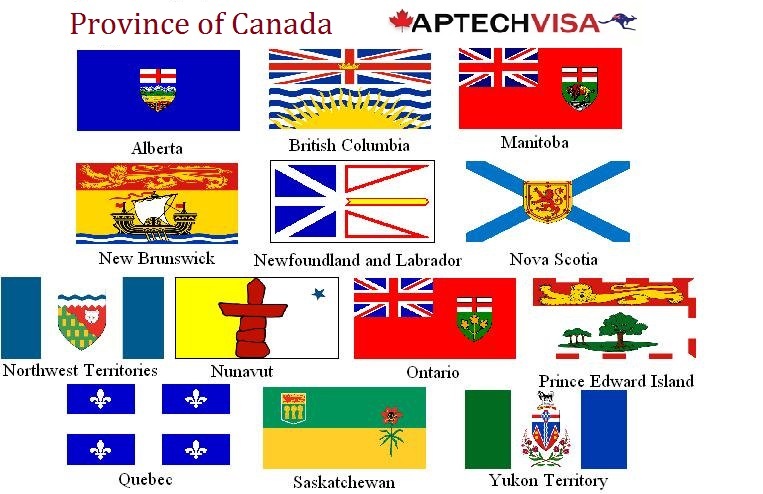 The majority of the country is English speaking and thus, Ontario wants that migrants coming here must be affluent in the English language to be able to adjust in the foreign surrounding. 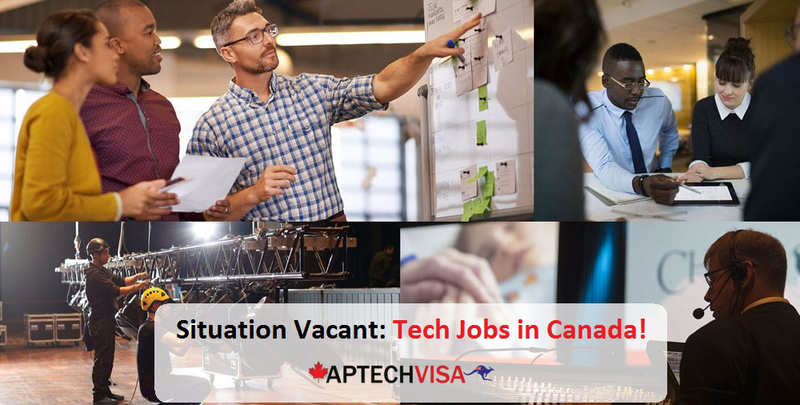 Ontario is in need of skilled workers who can come and work in the occupations that are in short-supply in the province. 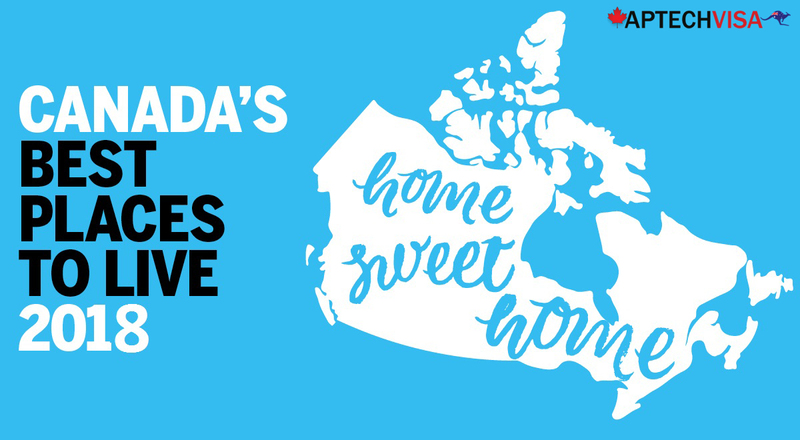 Well, everyone is aware of the fact that Ontario is the most popular provinces for people to move to particularly Indians. 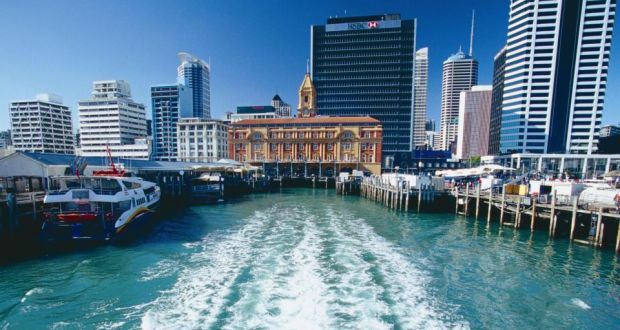 The province to avoid overcrowding has set the language requirement rather high at CLB 7. 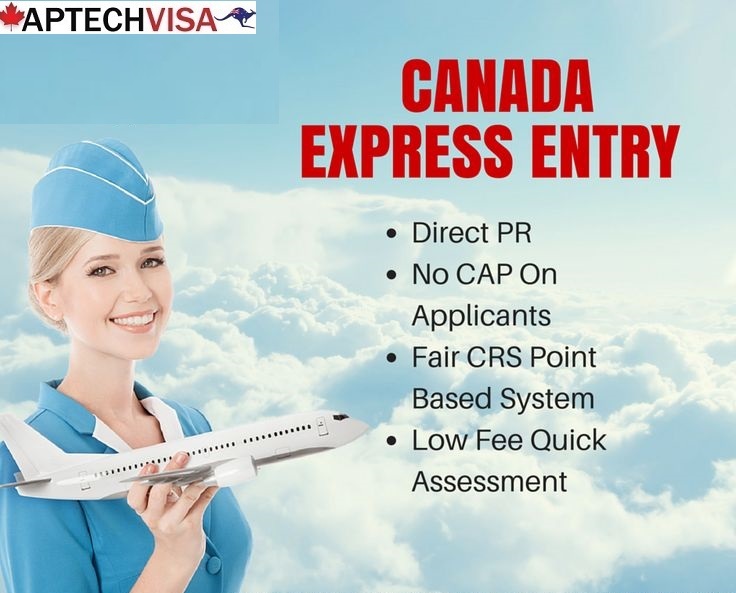 The requirement is at par with express entry program which also require minimum CLB 7 score to be eligible for Canada PR through Express Entry. 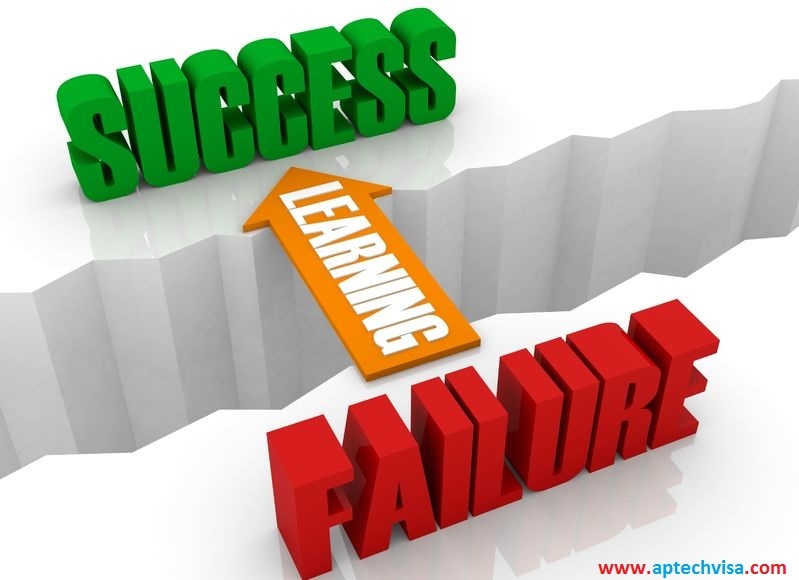 However, only focusing on the language requirement will not bear fruit, you have to work hard in other factors as well. 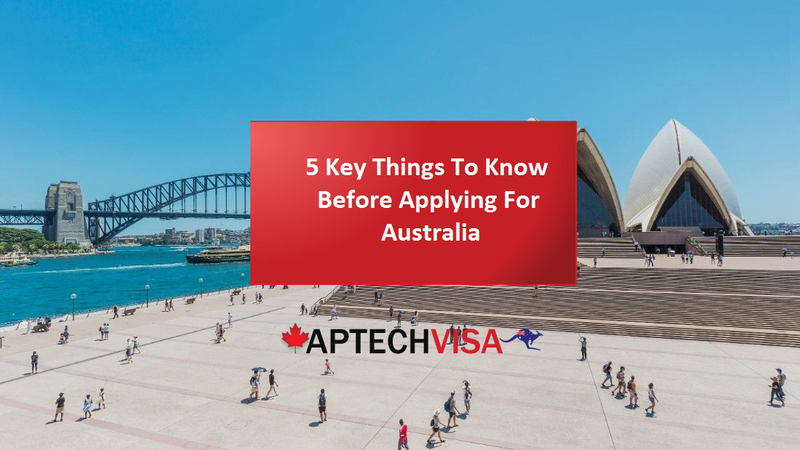 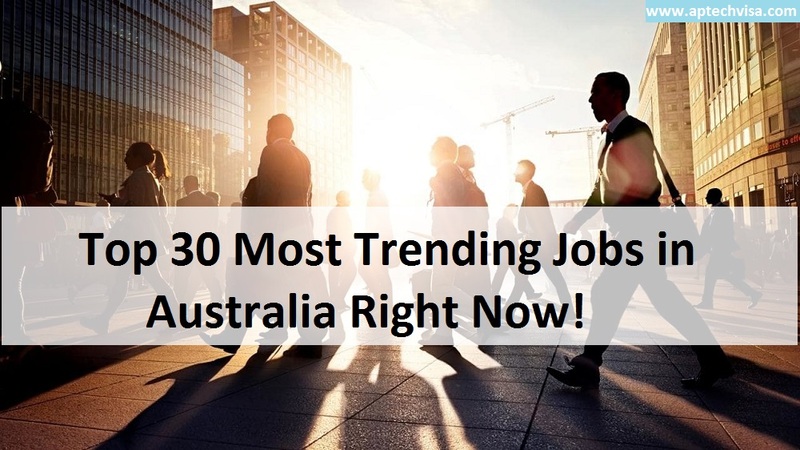 You will need to look for a job and your score must be competitive enough with the score of other applicants in your category. 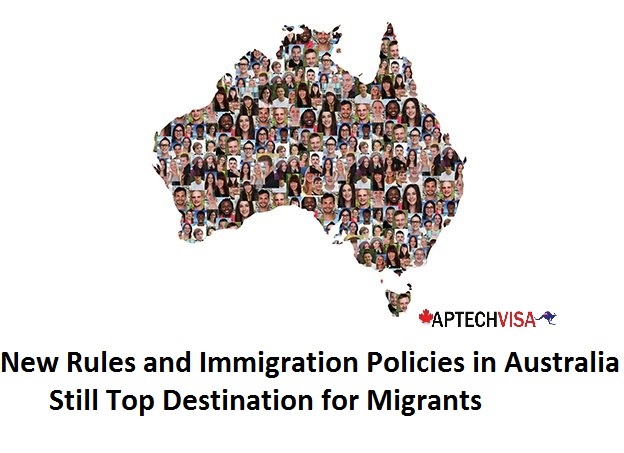 The higher are your scores, the better are your immigration chances. 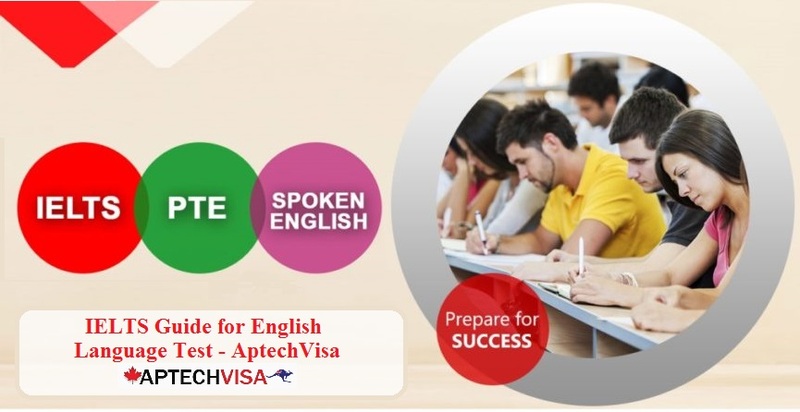 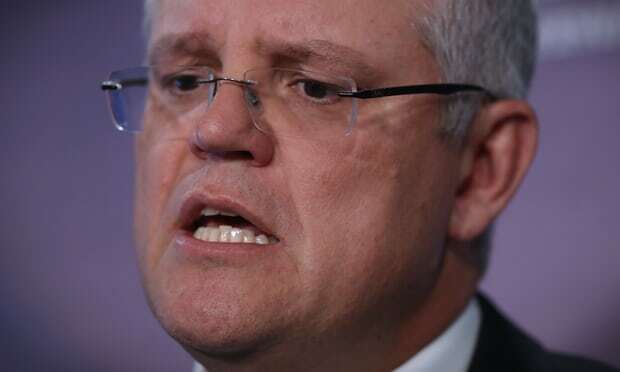 Language Assessment is mandatory! 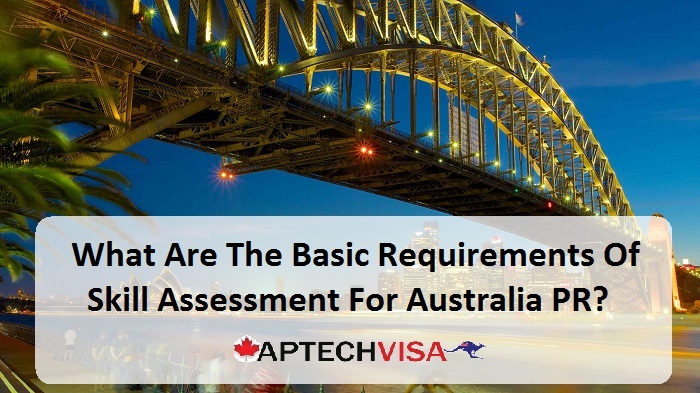 Check the basic IELTS requirements for OINP to have clear idea about how many bands you must score for better OINP chances. 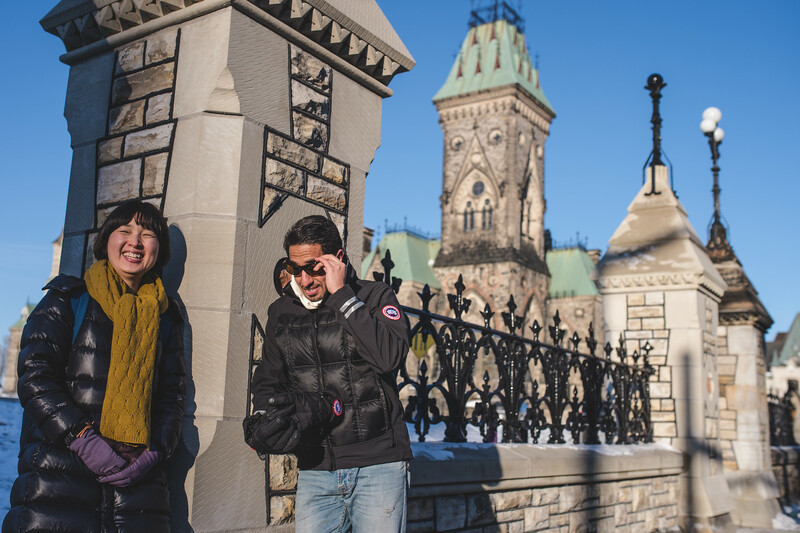 My wife and I migrated from Agartala to Ontario just last year in February, 2018. 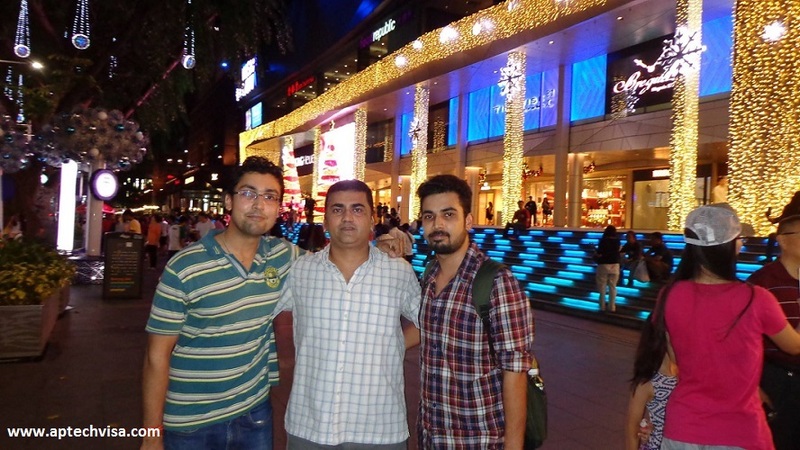 It was difficult to our country India as it is our home since birth and we did not want to leave it. 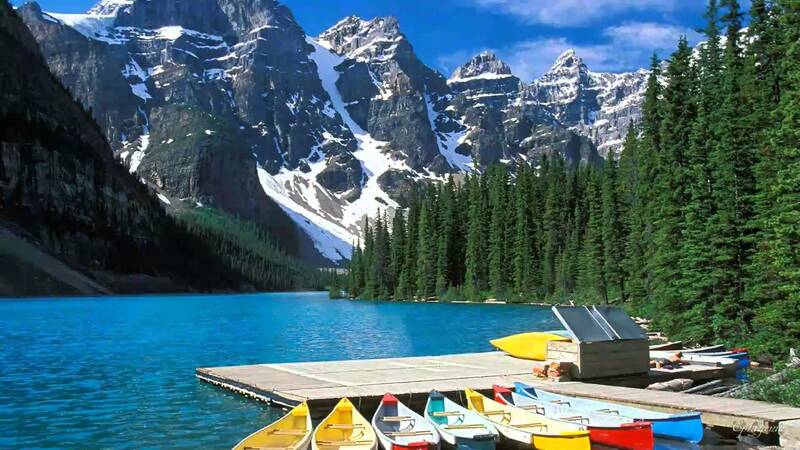 We’ve visited Canada twice as tourists in the past and really enjoyed this beautiful city. 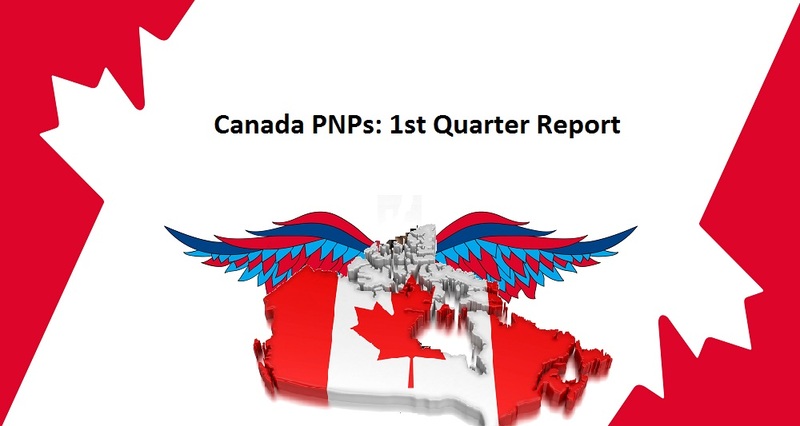 How long does PNP take in Ontario? 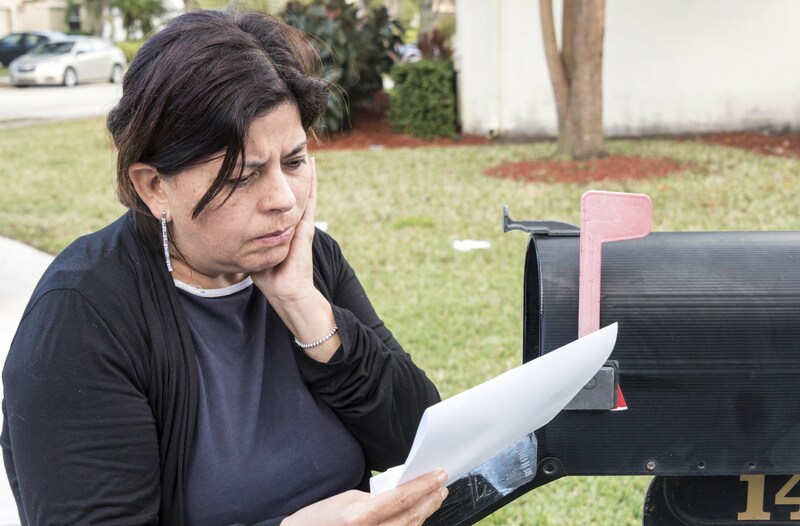 What are the monthly living expenses for a family of three?